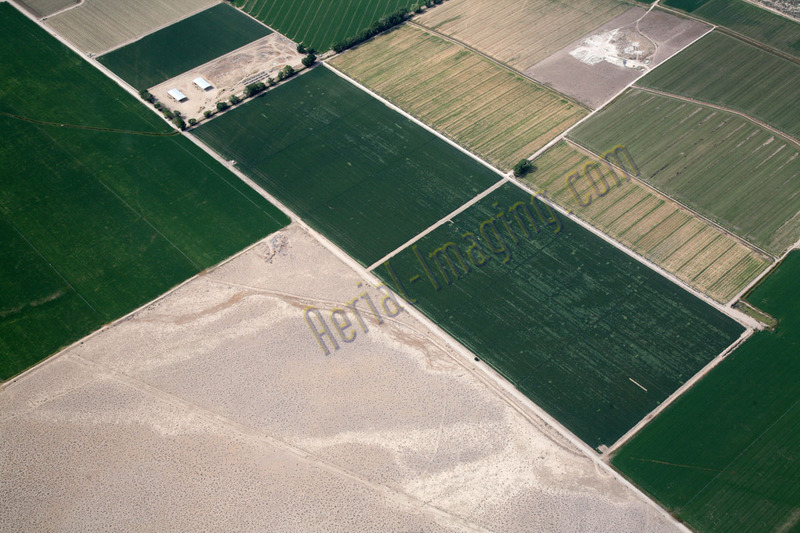 According to the Nevada Department of Agriculture, Nevada ranches rank third in the nation in size, averaging 3,500 acres. 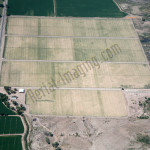 Alfalfa hay is the leading crop in revenue dollars. 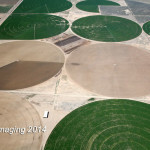 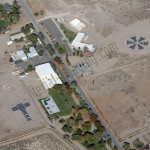 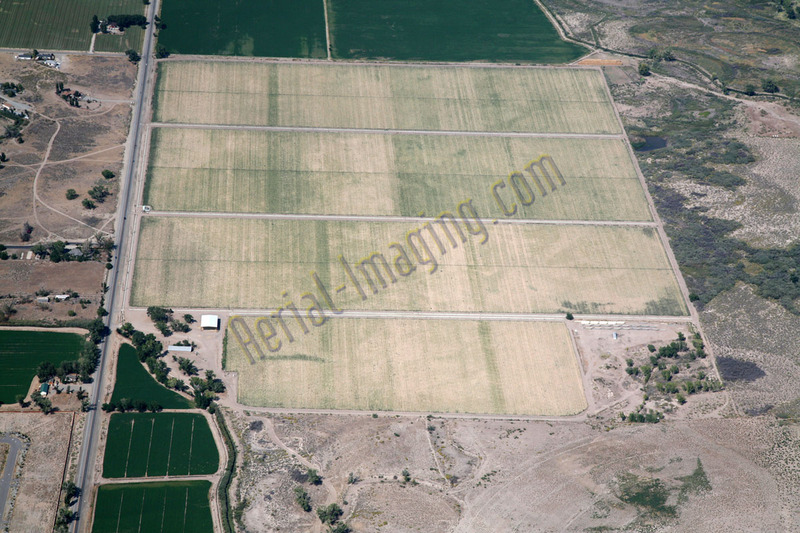 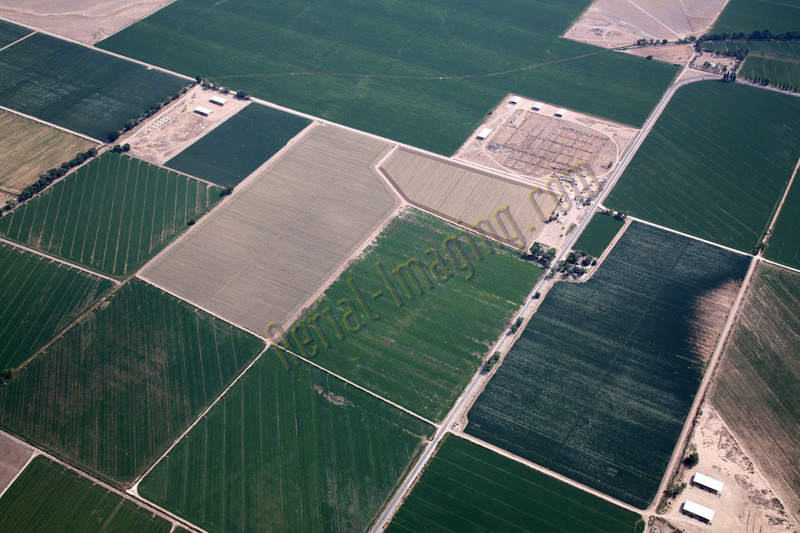 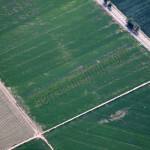 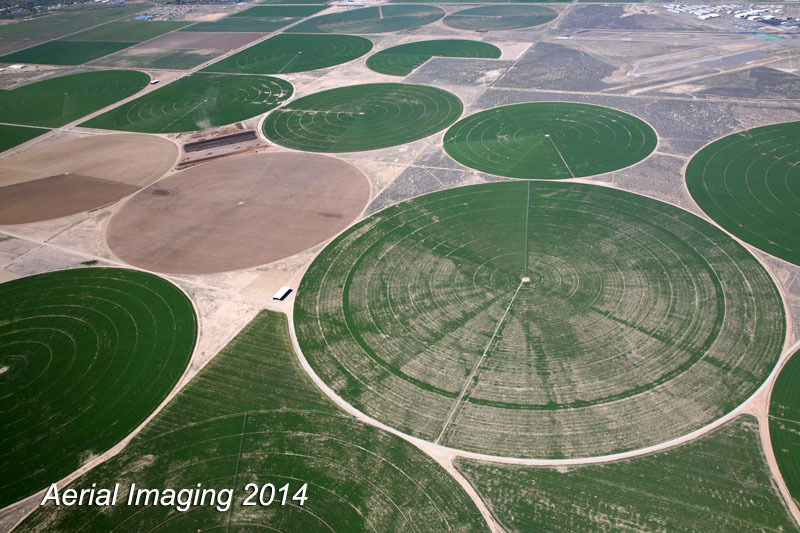 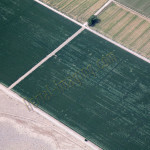 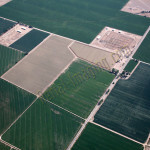 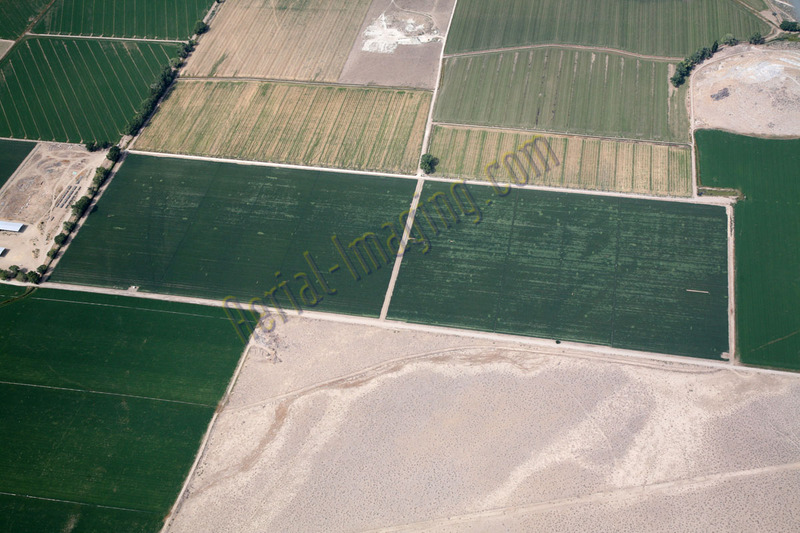 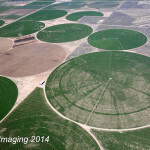 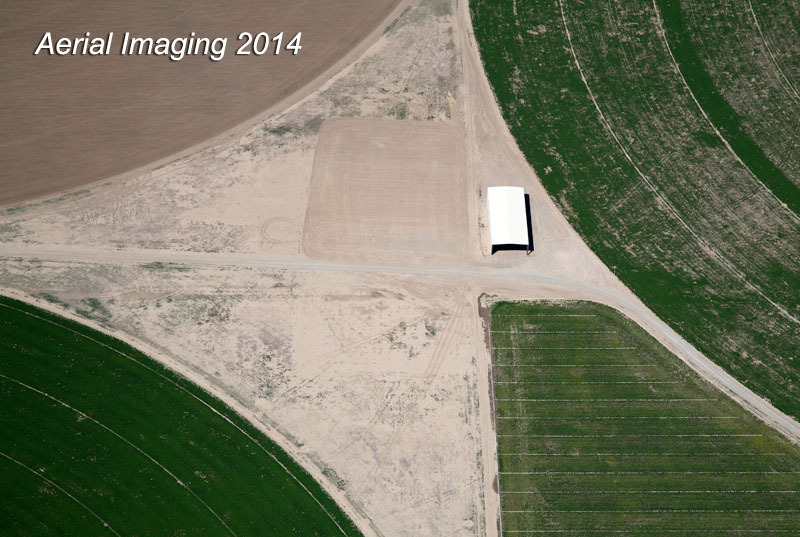 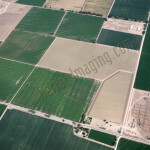 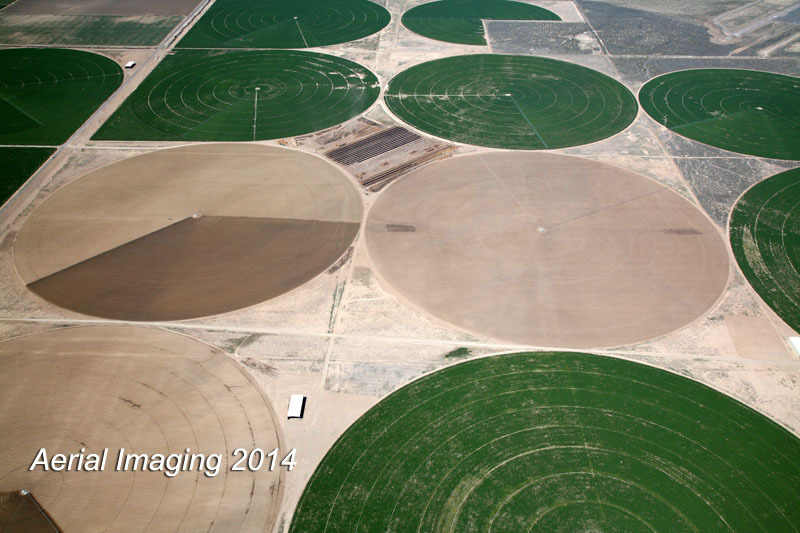 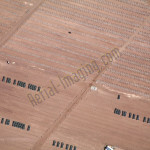 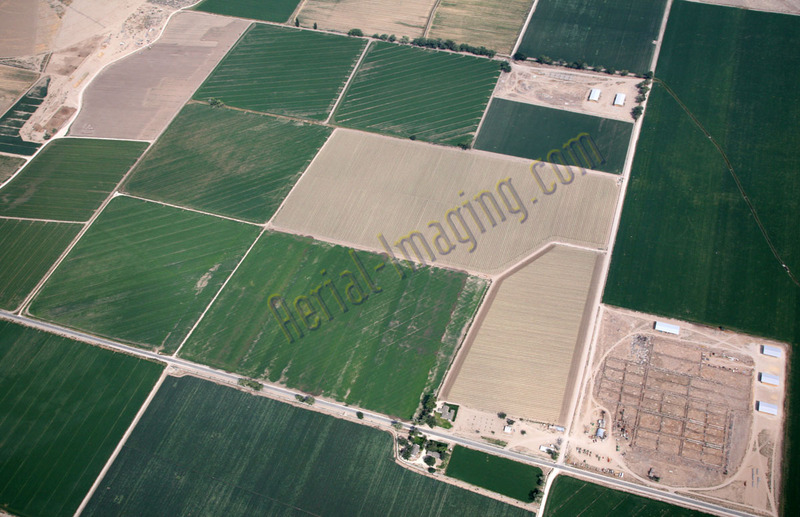 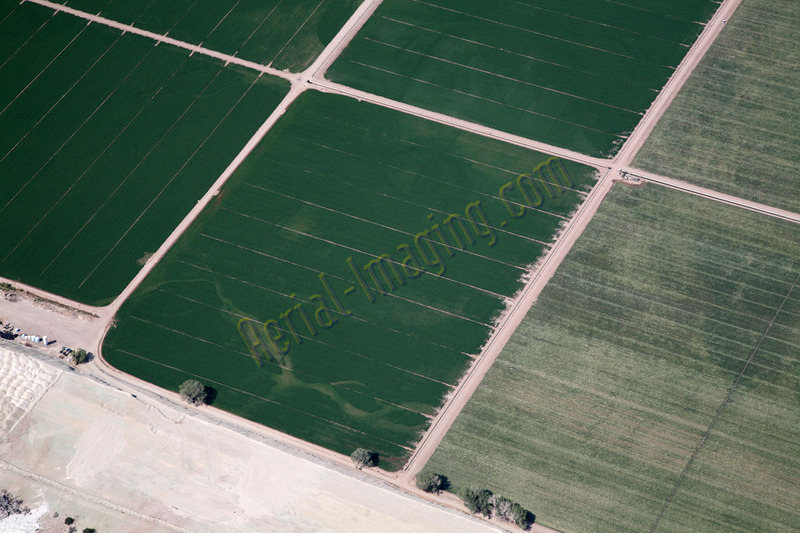 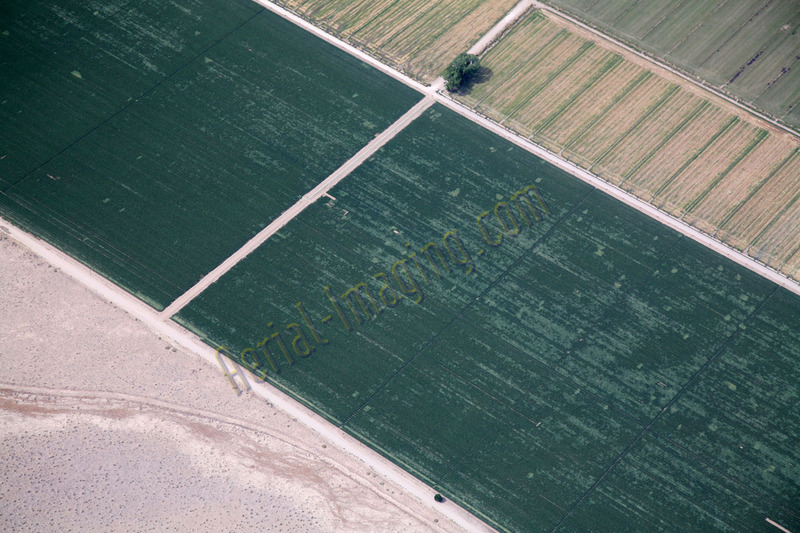 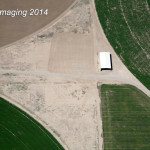 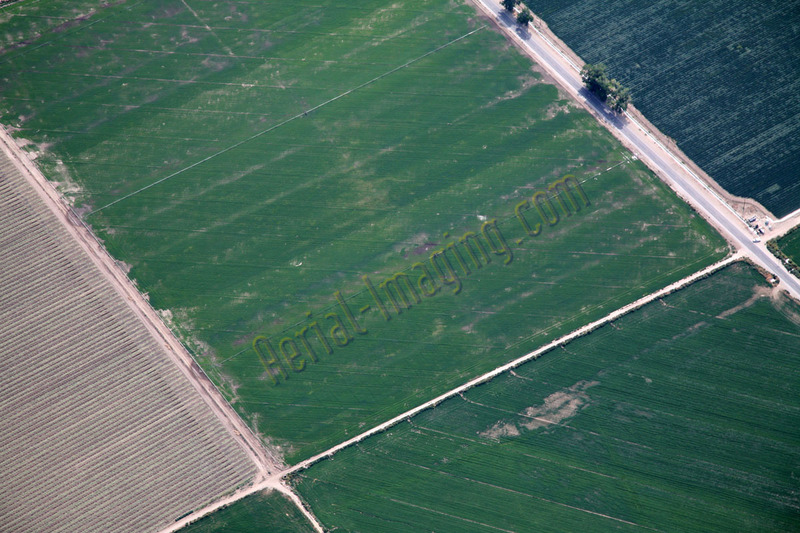 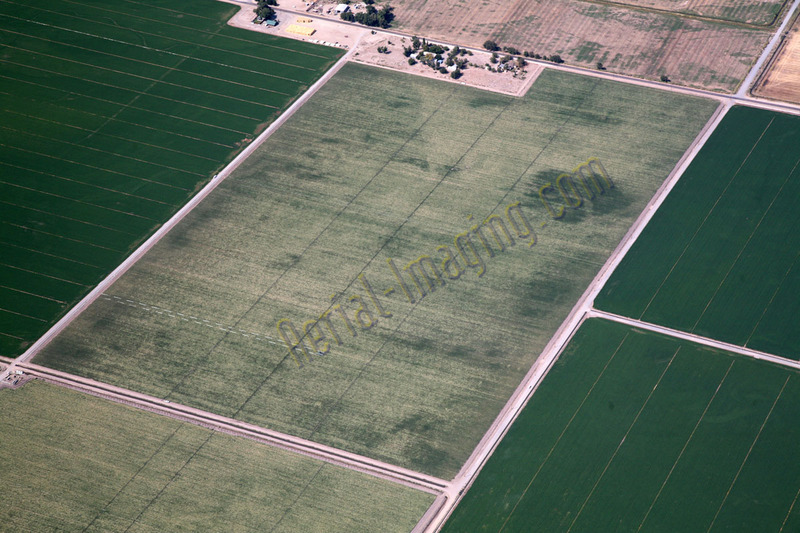 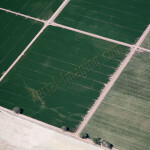 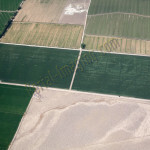 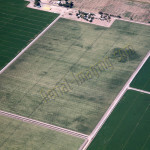 Here are some aerial shots of farms in Northern Nevada. 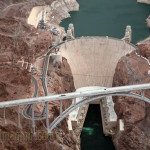 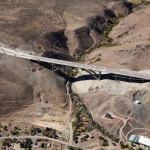 The country’s largest cathedral-arch bridge is a 295-ft-tall bridge located about 20 miles south of Reno. 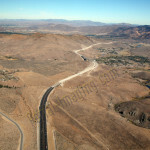 along highway 580. 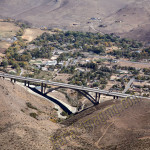 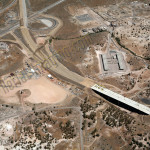 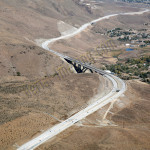 The 2012 opening of Galena Bridge in Reno shortens the drive time to Carson City by 15 minutes and diverts traffic away from communities in Washoe County for approximately 40,000 cars per day . 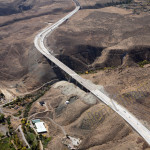 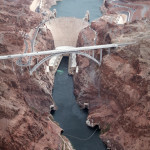 The highway and bridge project totaled an estimated cost of $600 million dollars and after 10 years of challenging delays the 2012 opening was welcomed by many. 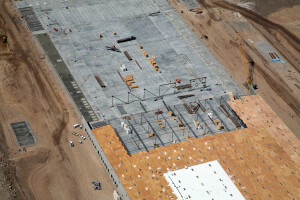 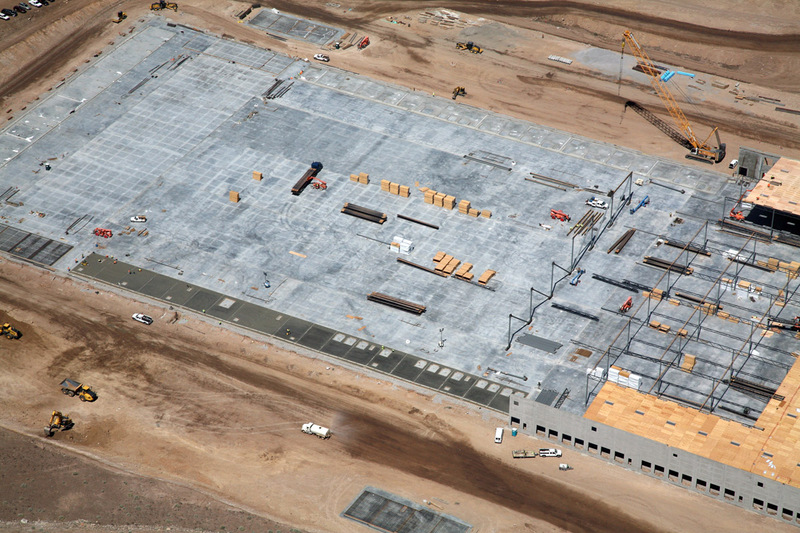 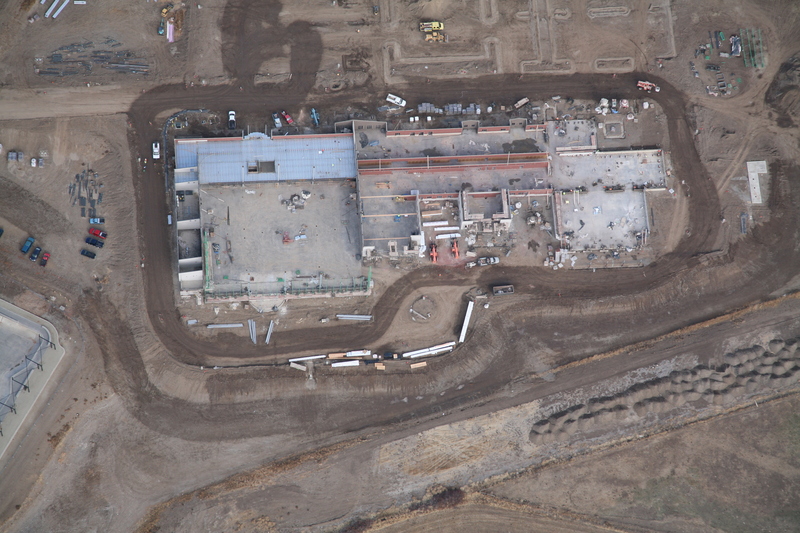 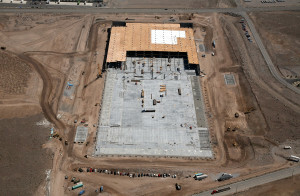 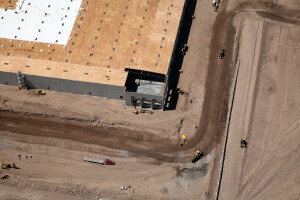 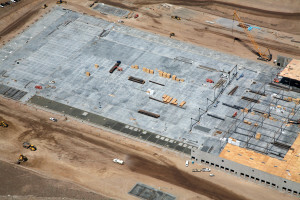 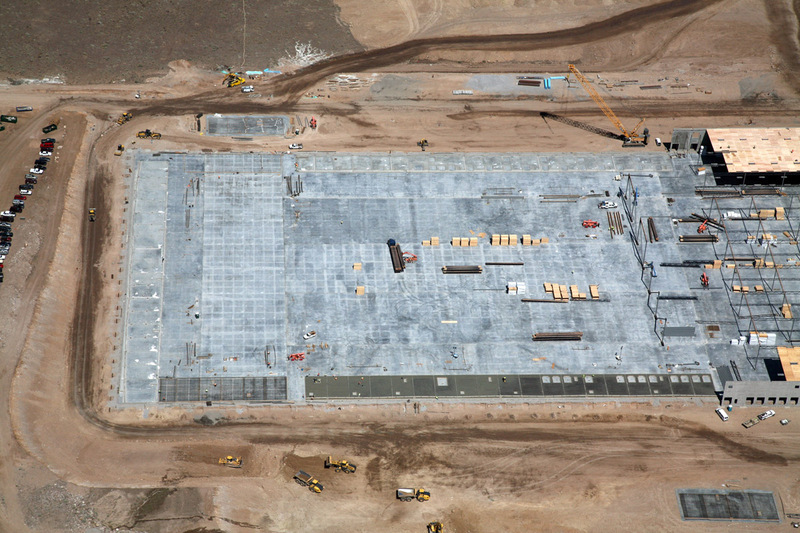 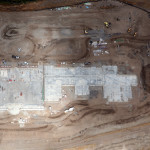 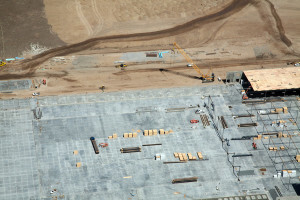 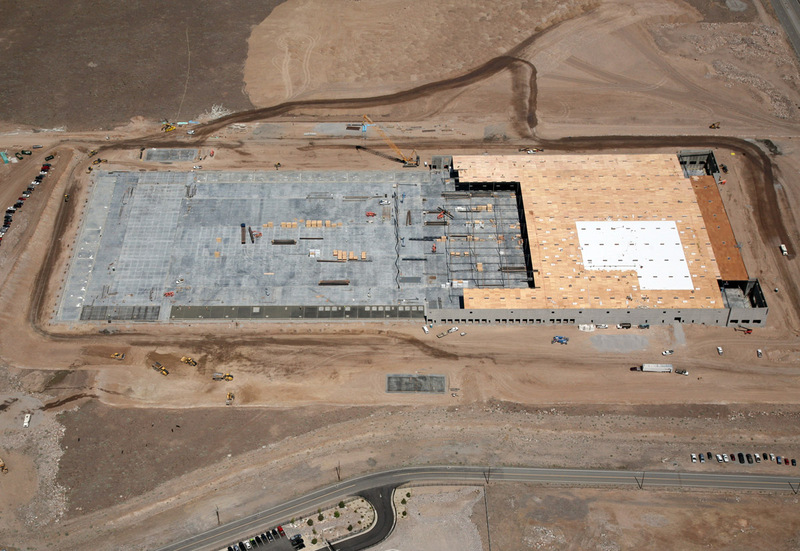 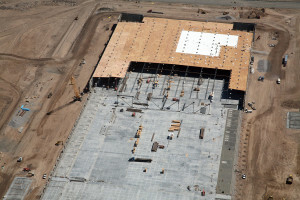 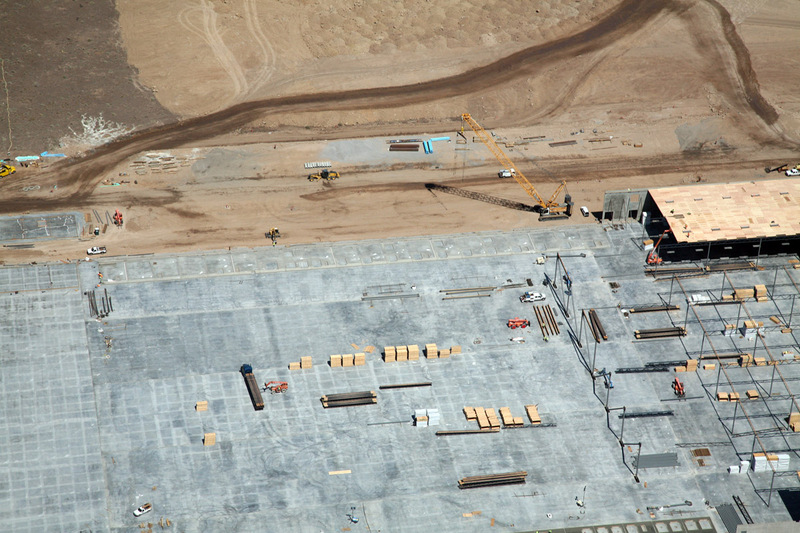 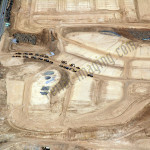 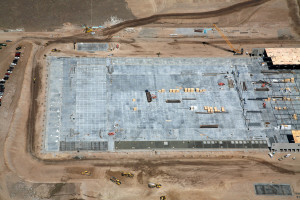 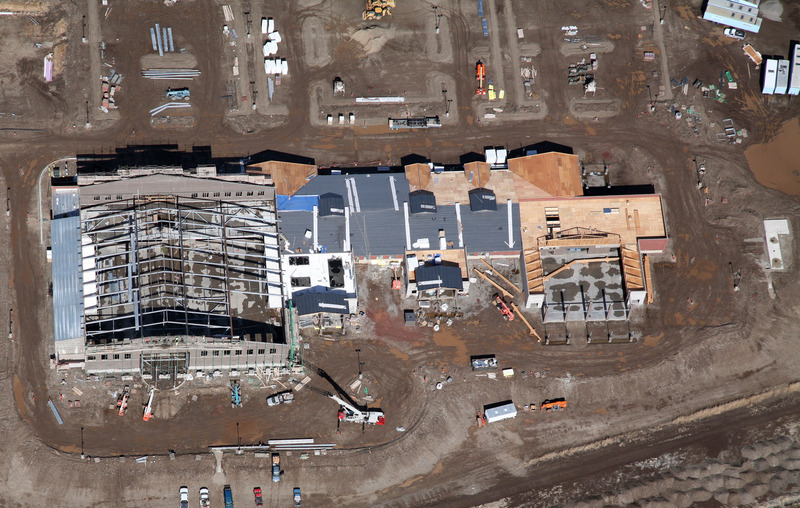 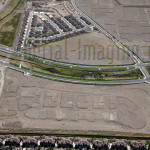 Here are some aerial images of the construction project. 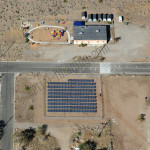 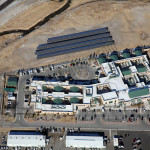 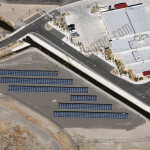 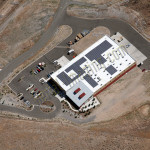 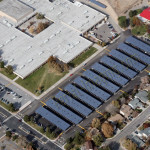 Here are some completed solar installation projects across west to east Nevada. 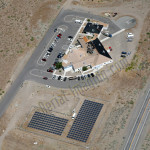 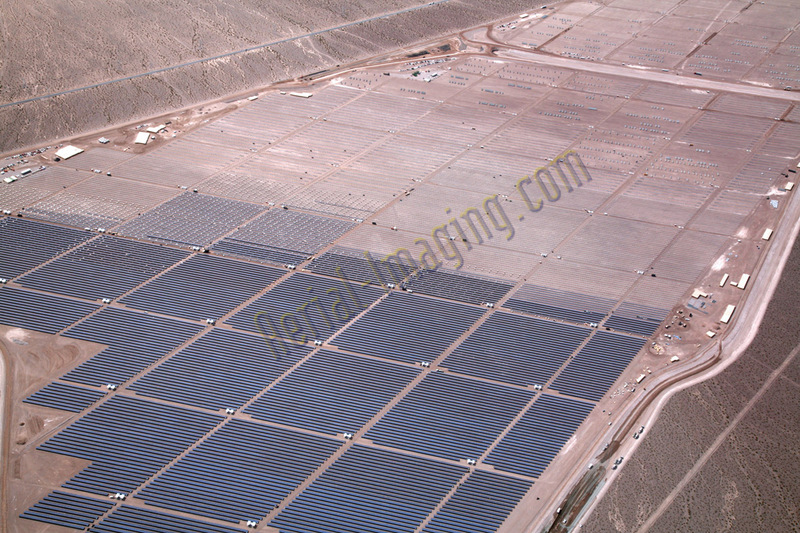 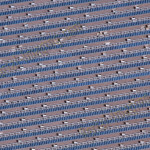 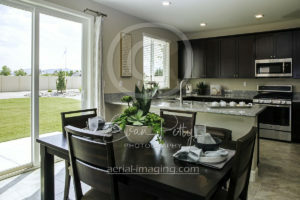 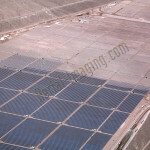 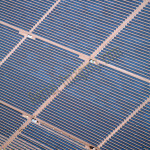 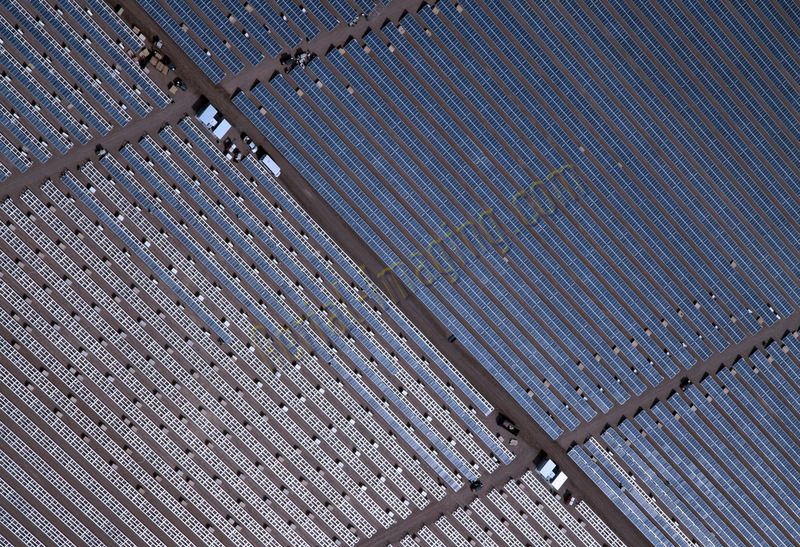 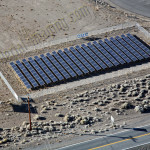 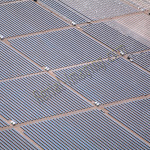 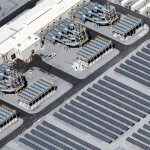 Solar panel construction project in southern Nevada. 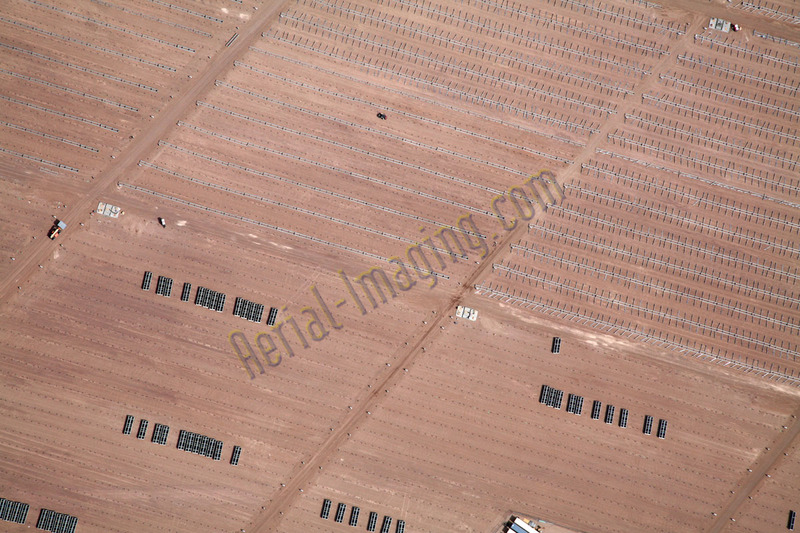 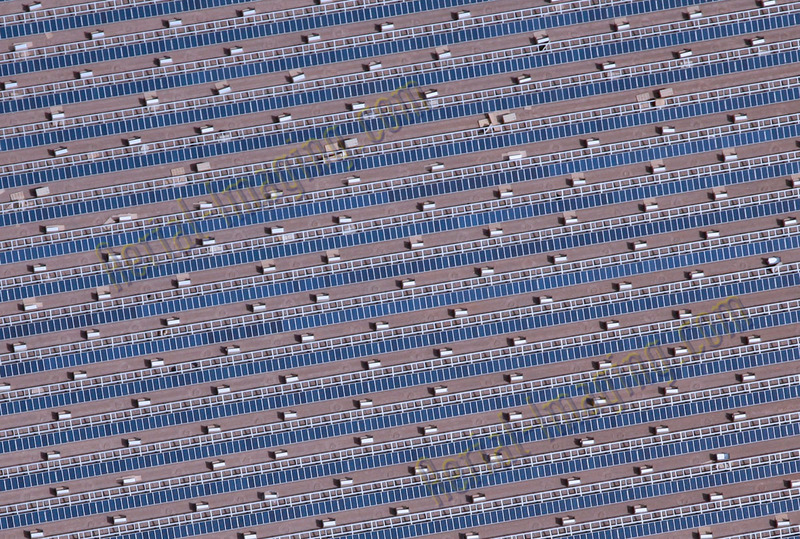 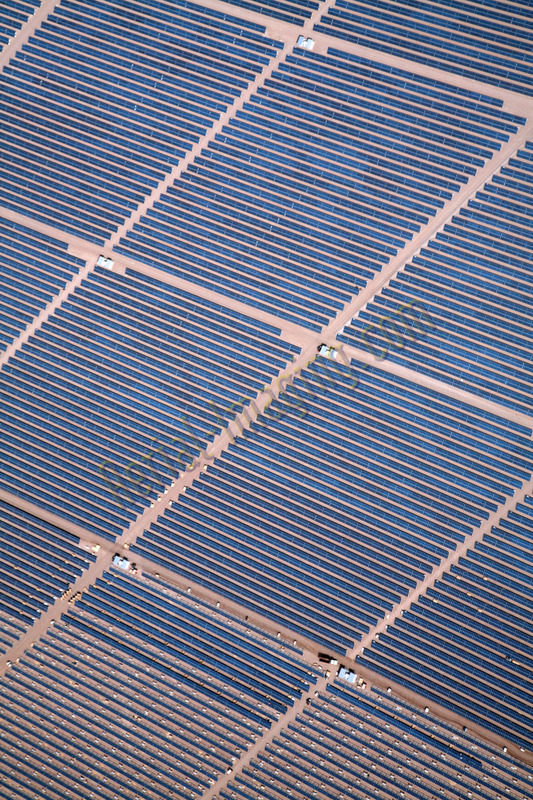 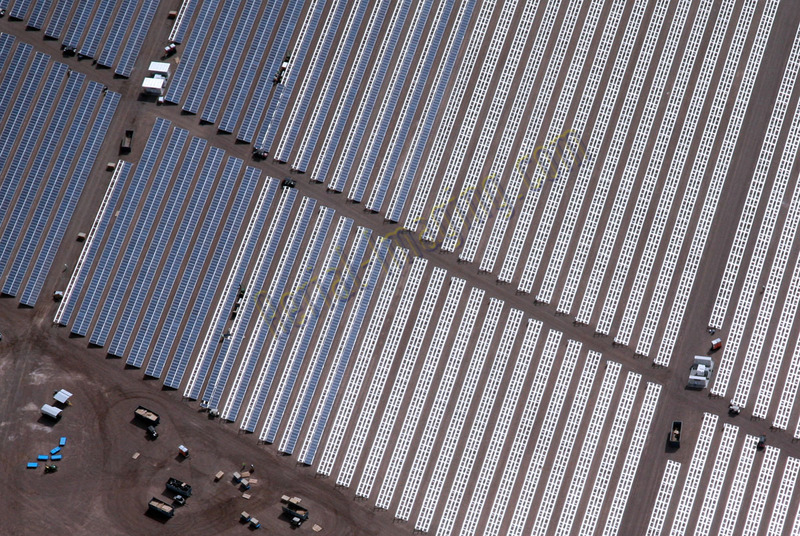 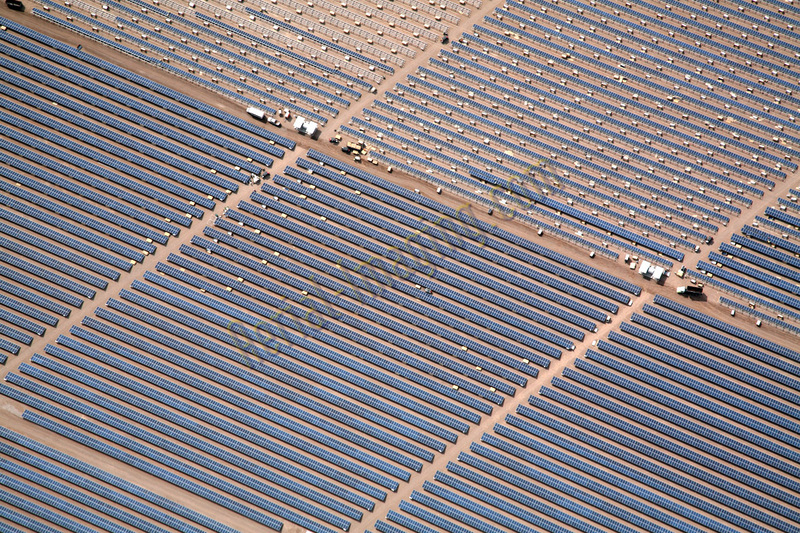 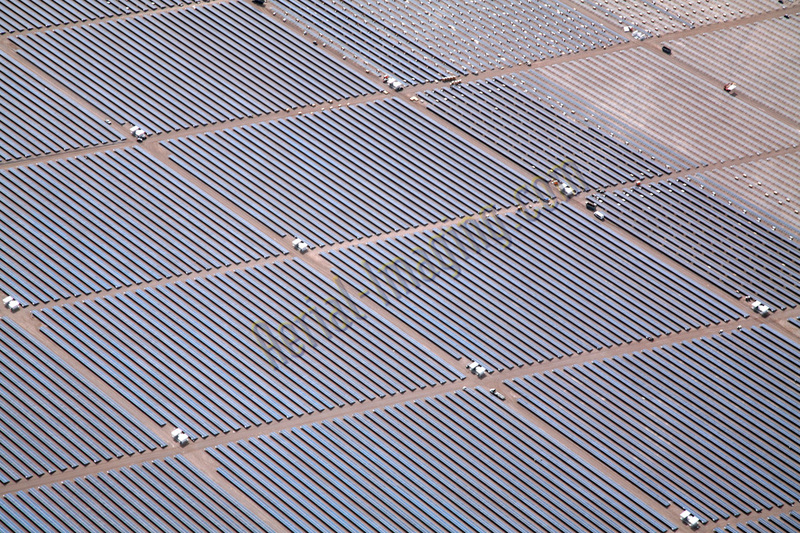 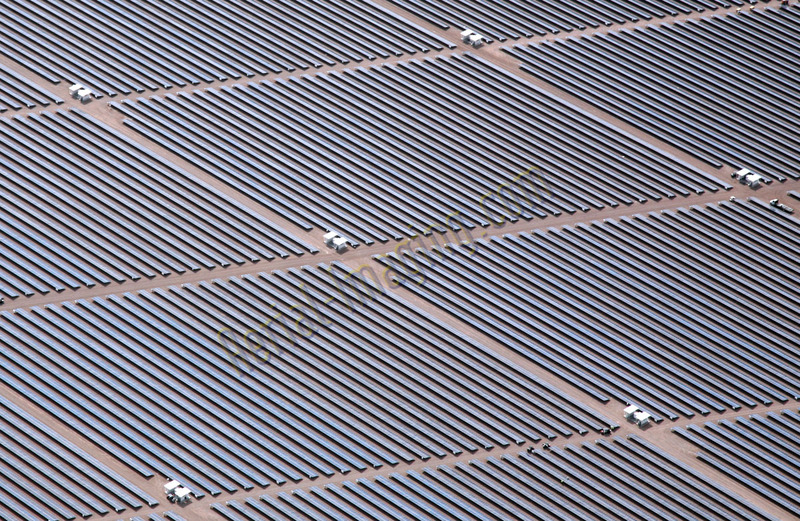 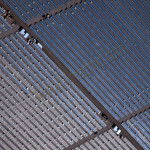 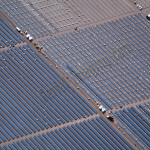 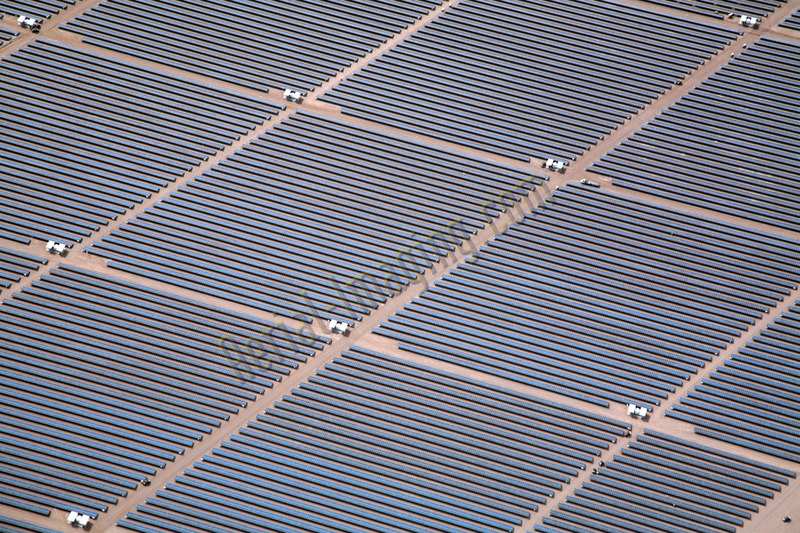 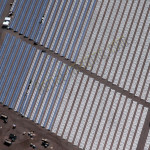 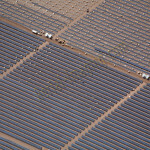 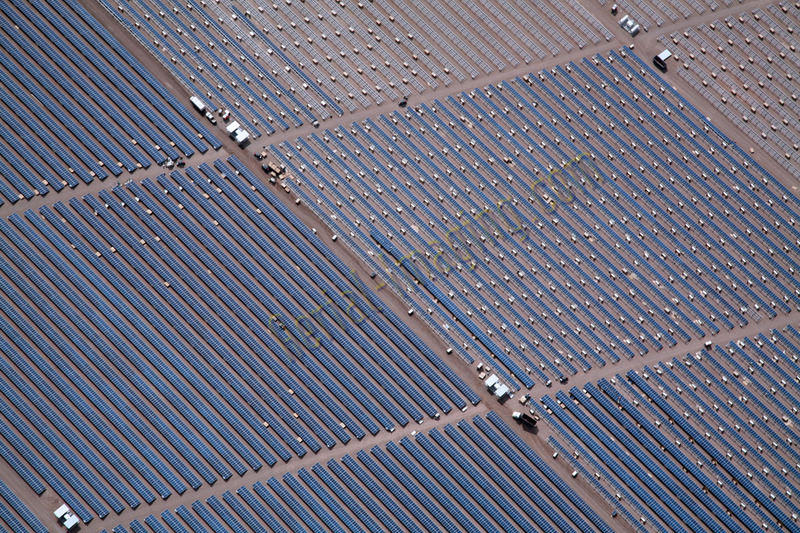 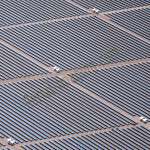 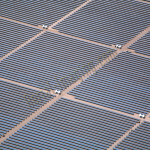 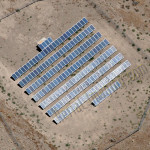 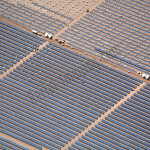 Even under construction this large solar farm is a spectacular site from the air. 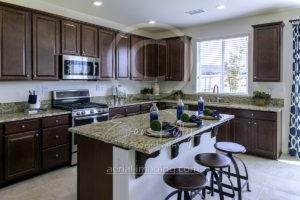 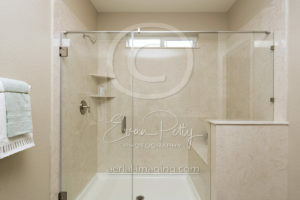 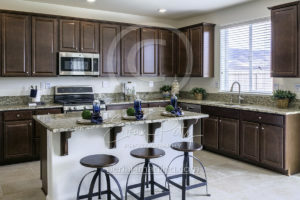 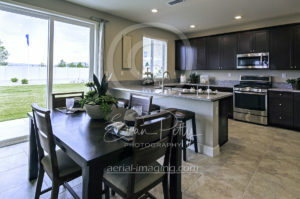 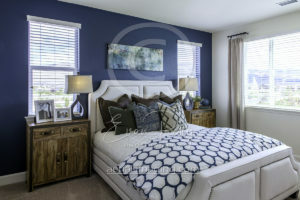 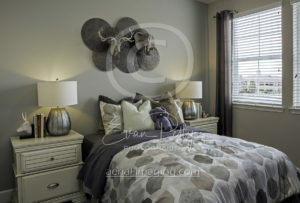 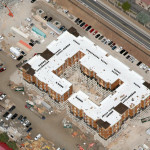 To learn more about our construction updates, visit our construction industry page. 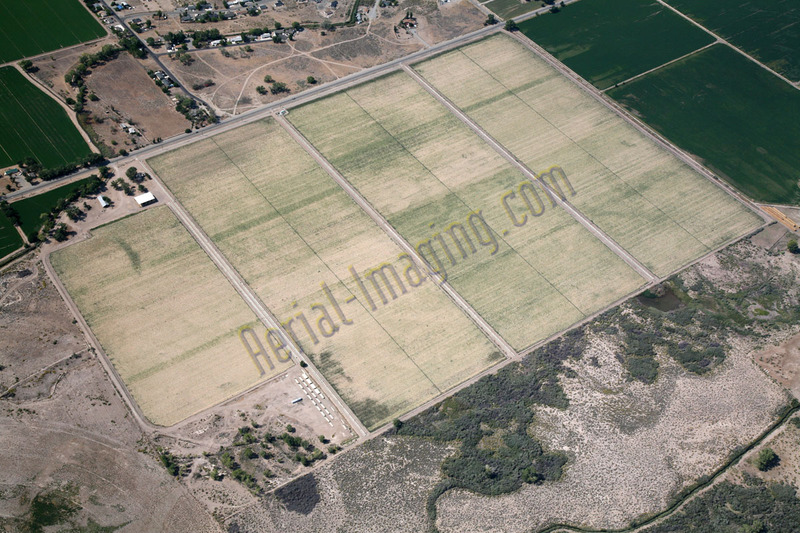 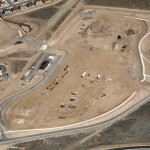 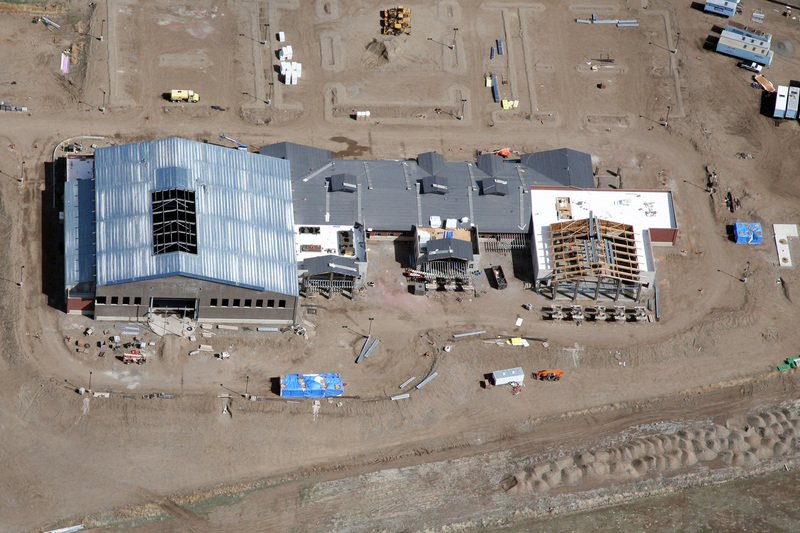 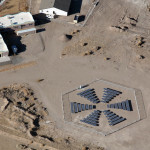 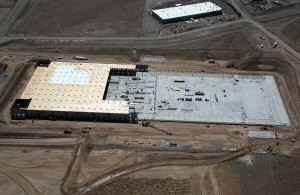 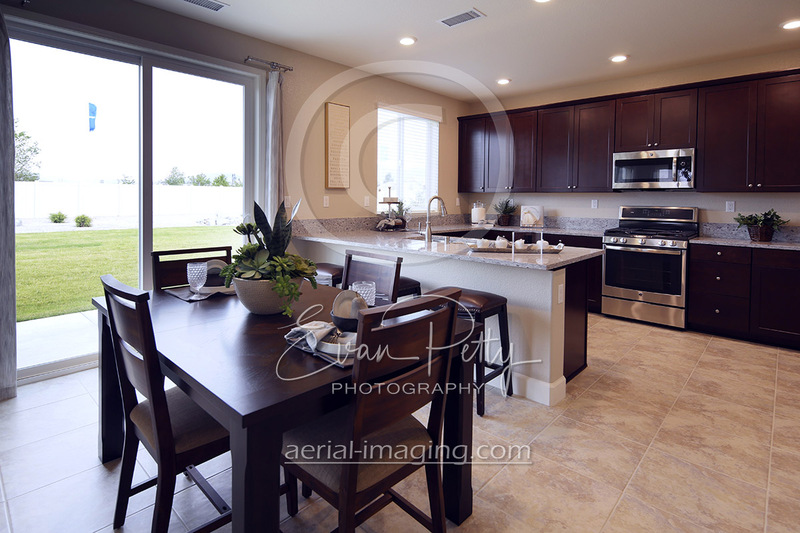 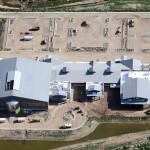 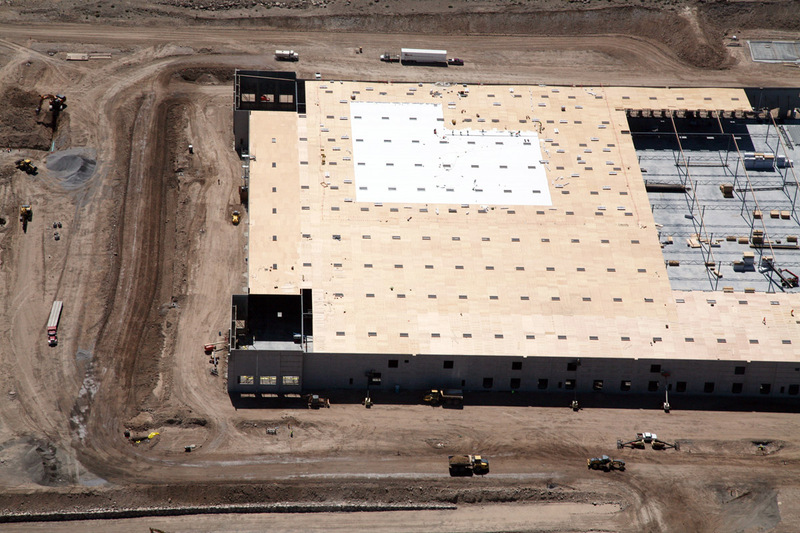 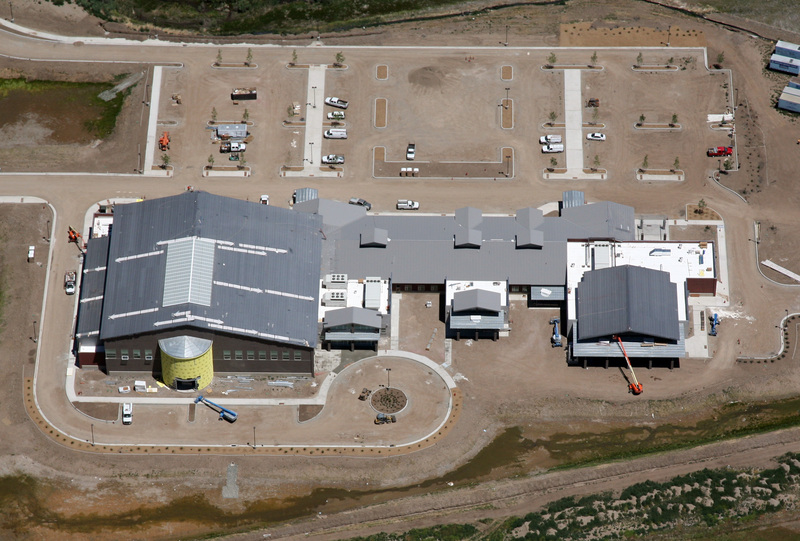 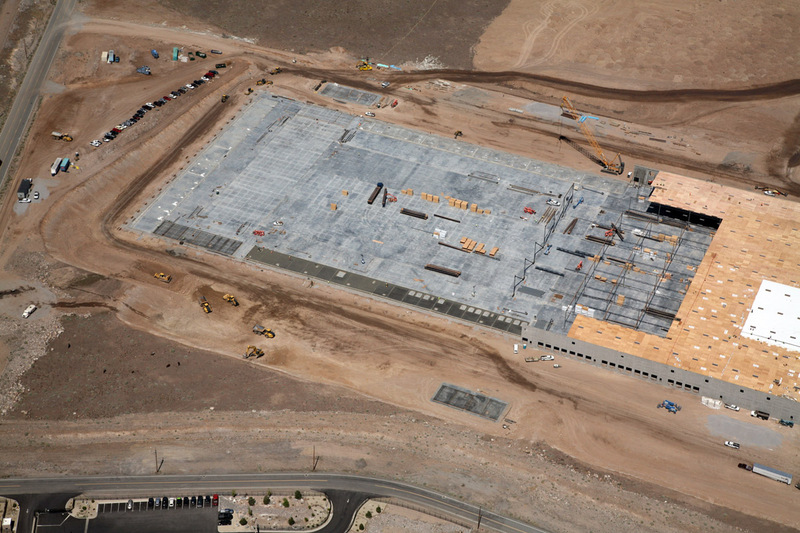 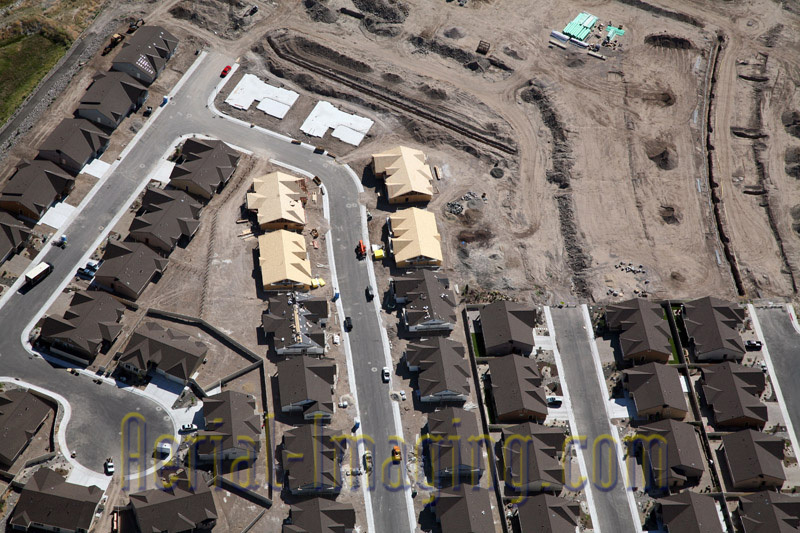 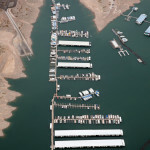 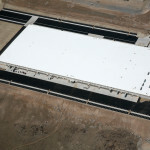 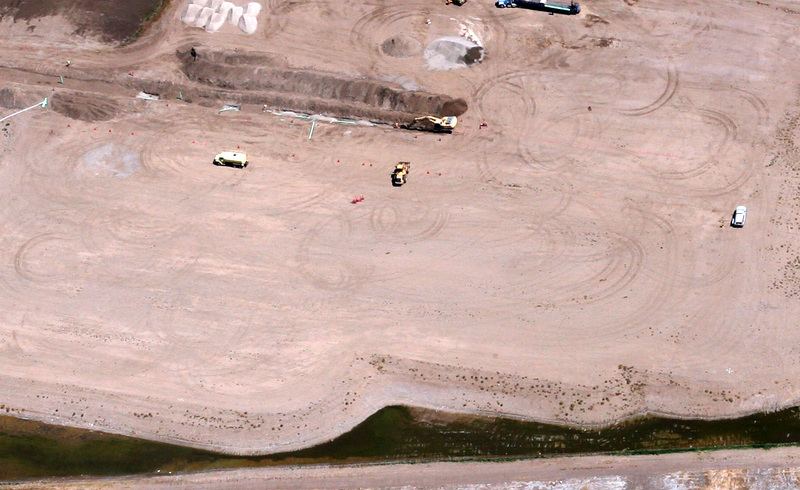 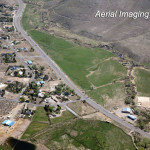 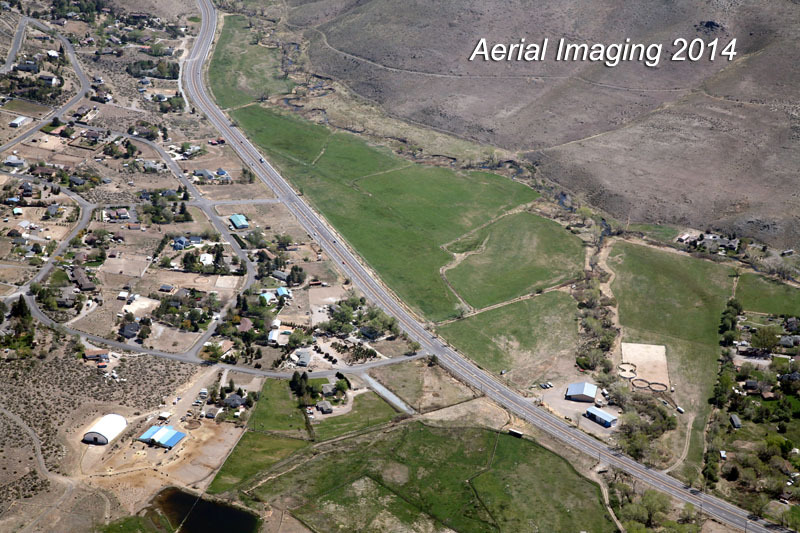 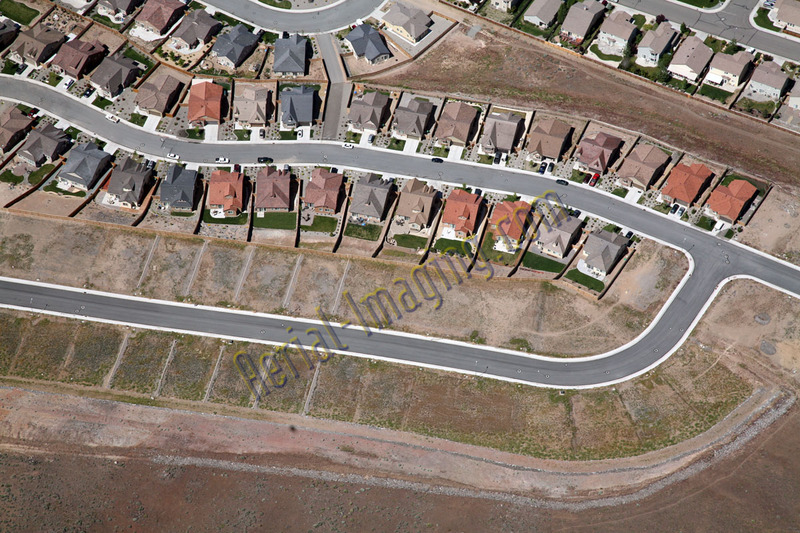 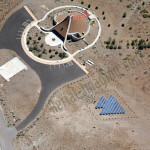 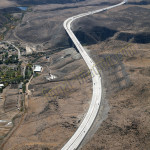 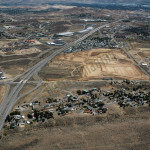 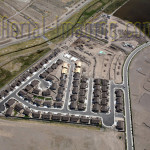 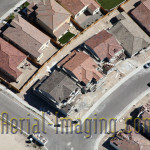 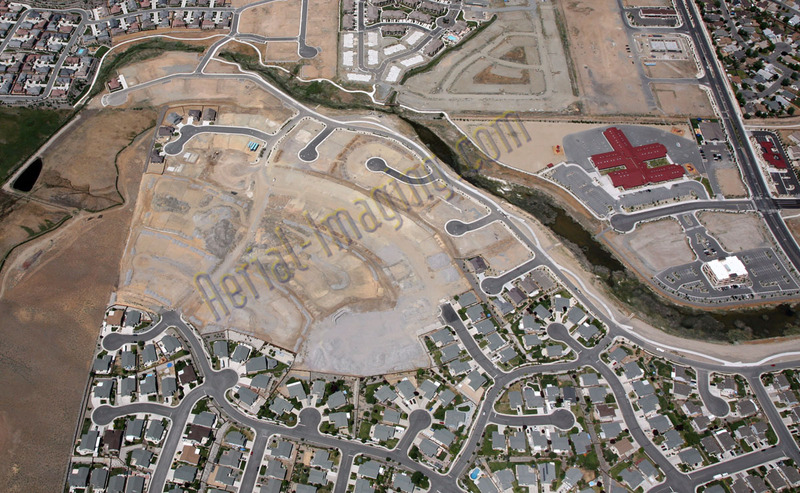 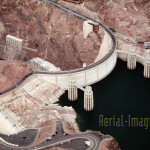 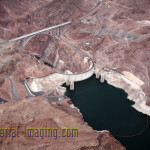 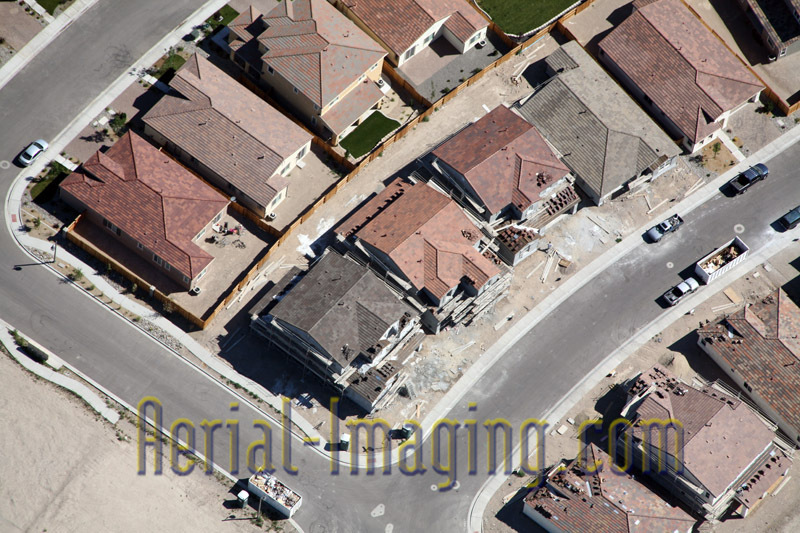 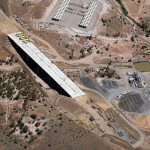 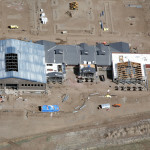 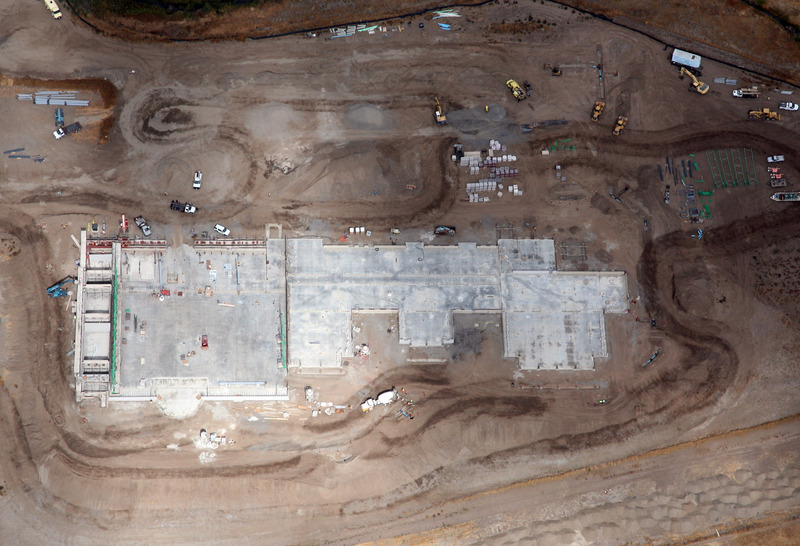 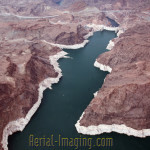 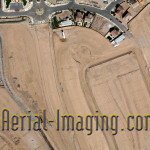 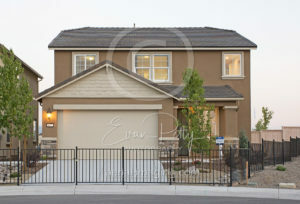 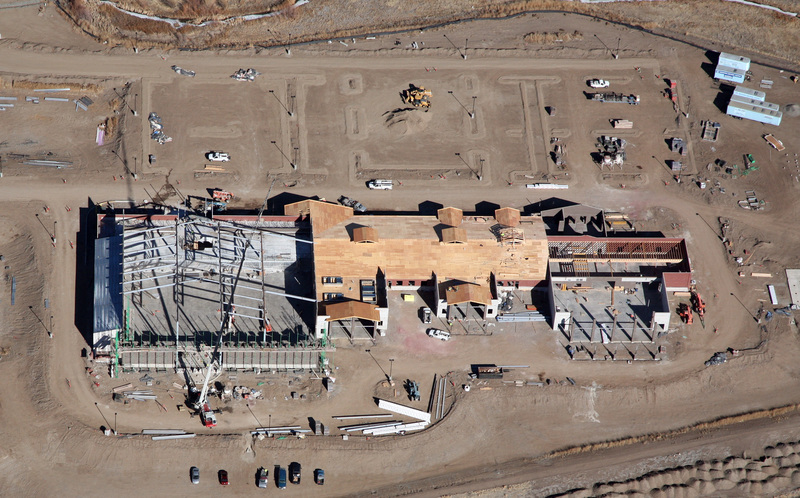 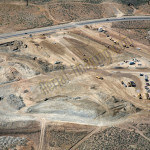 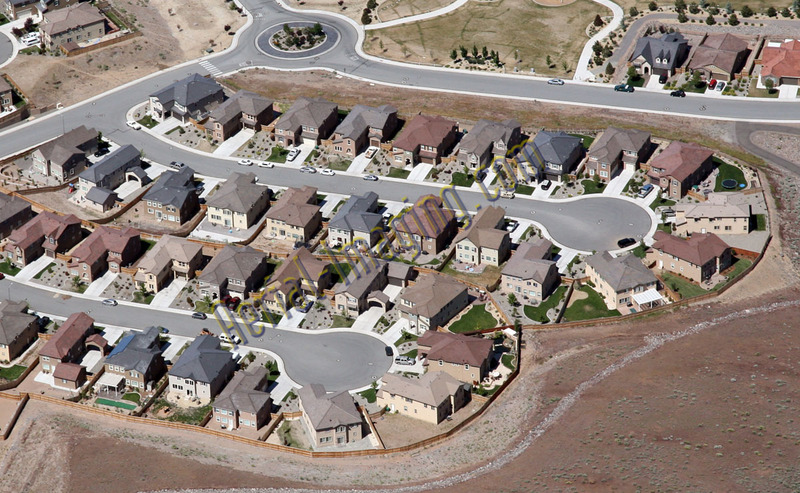 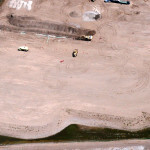 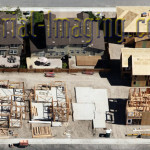 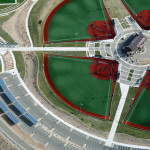 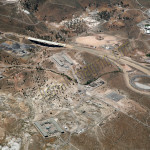 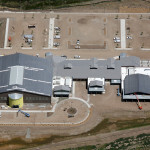 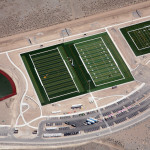 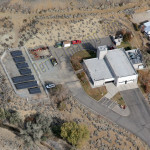 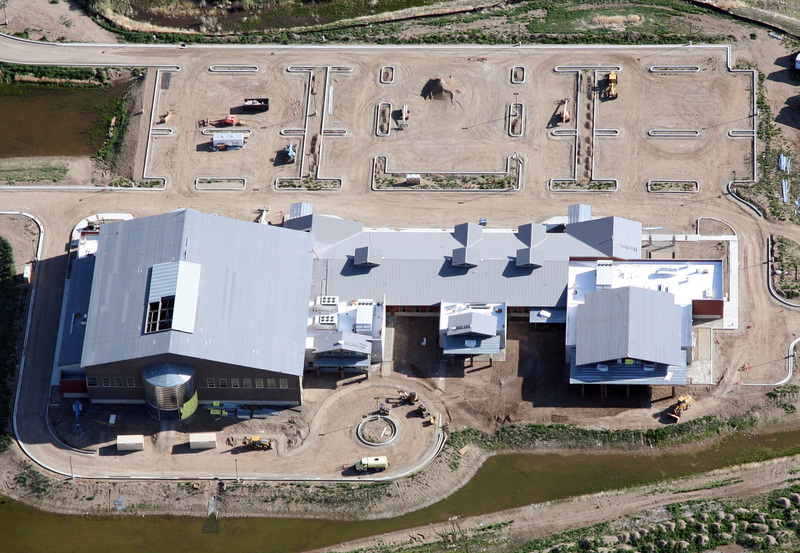 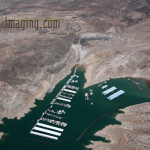 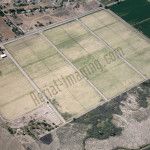 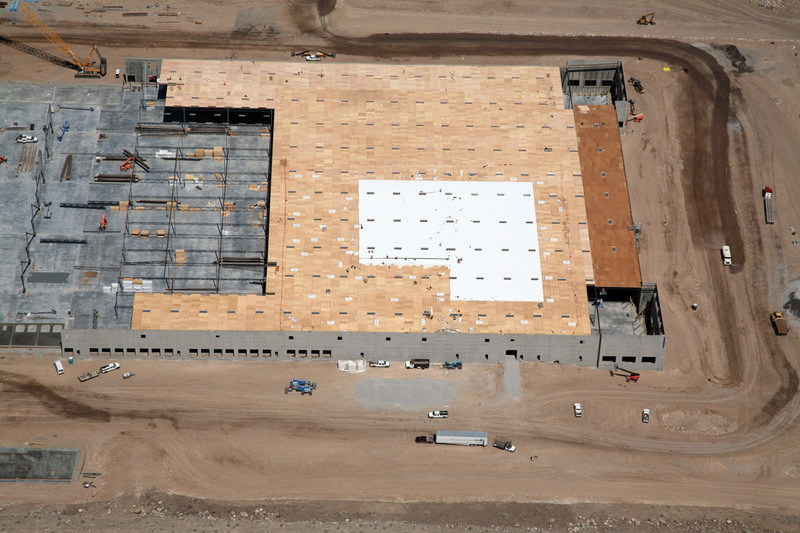 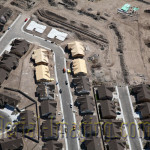 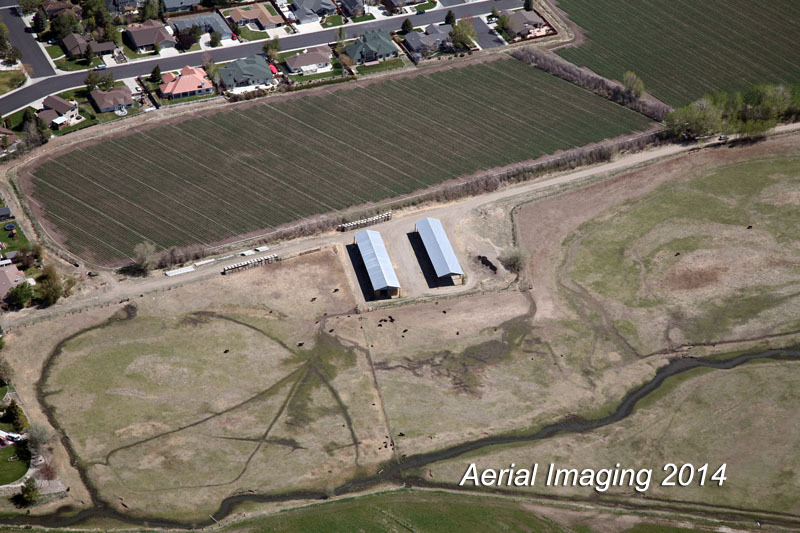 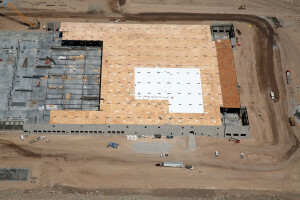 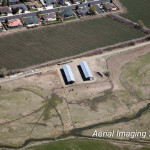 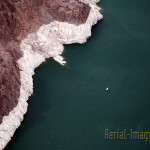 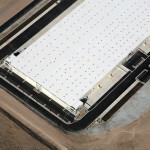 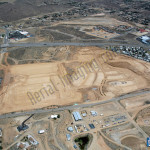 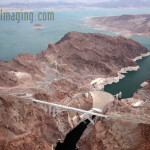 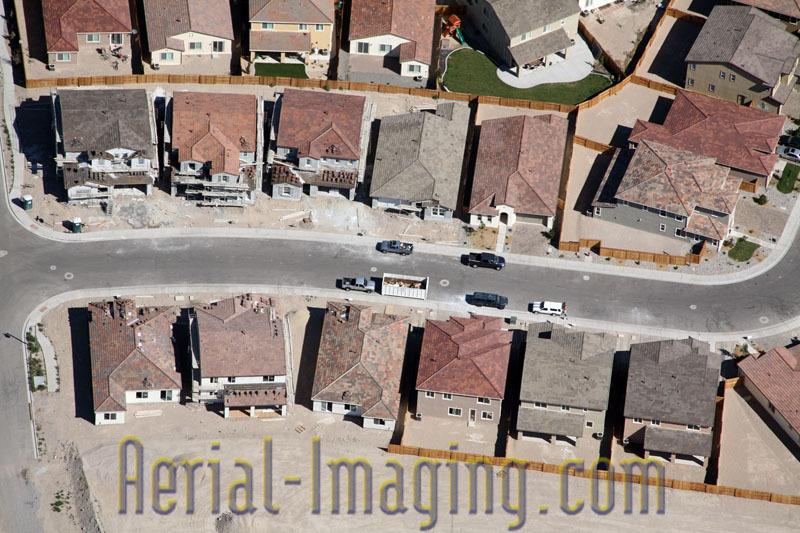 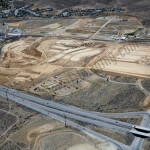 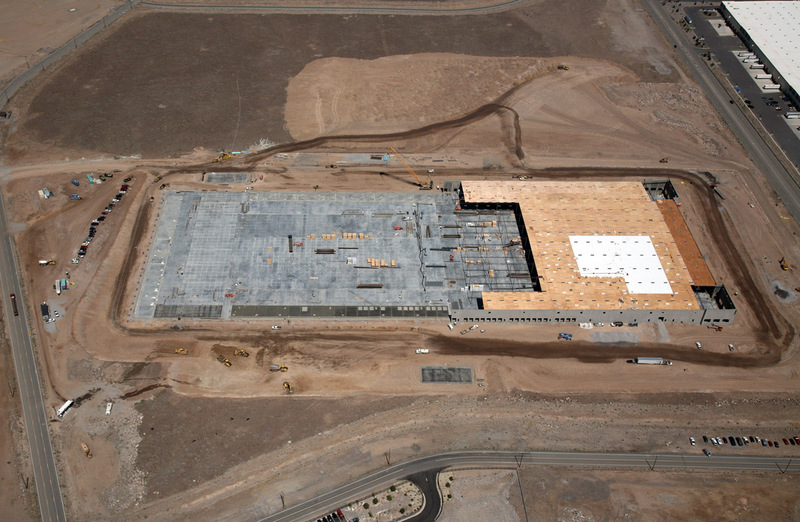 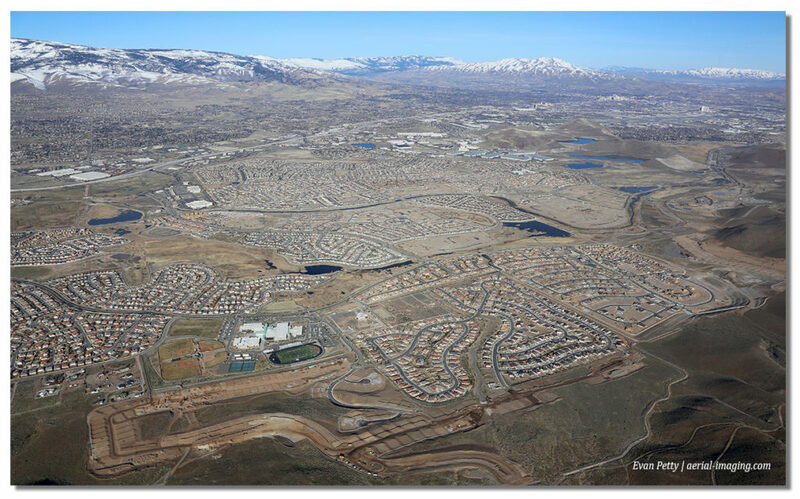 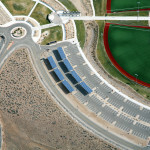 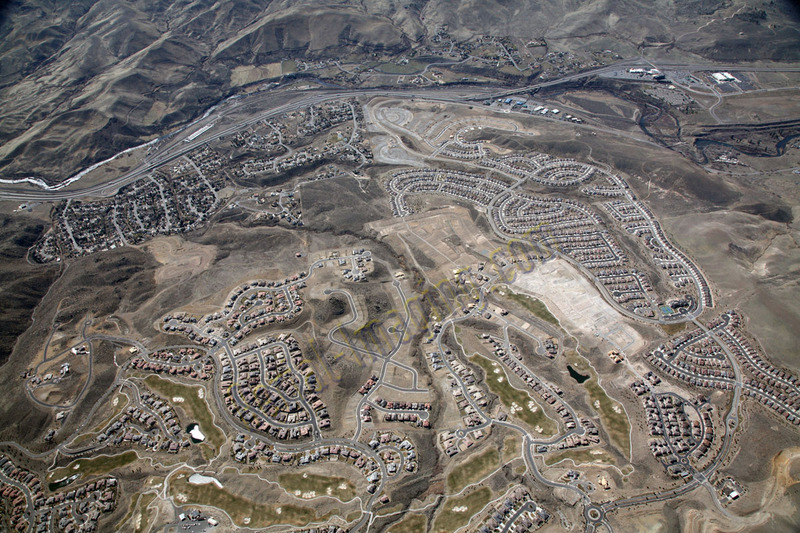 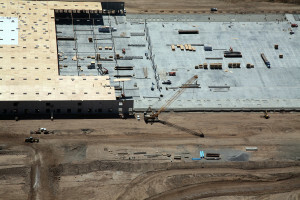 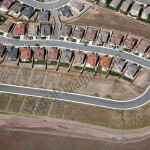 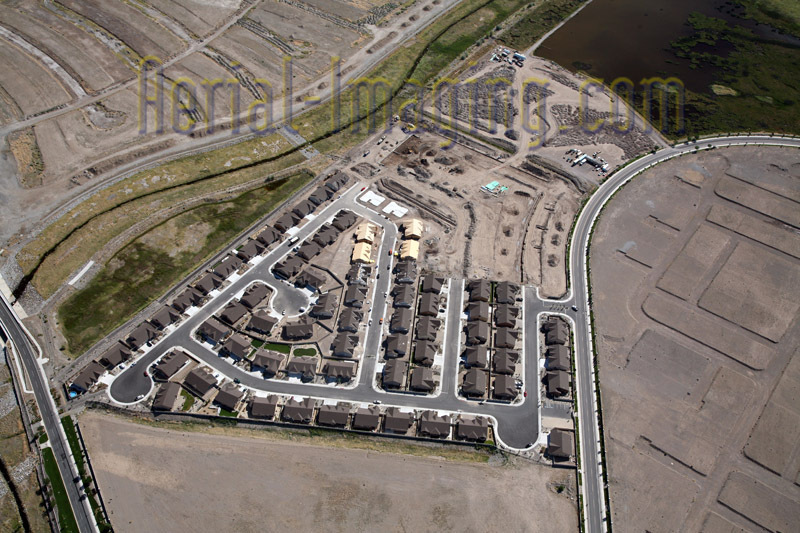 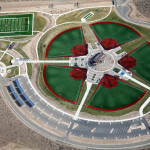 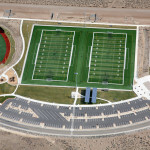 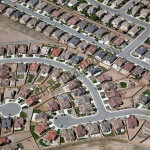 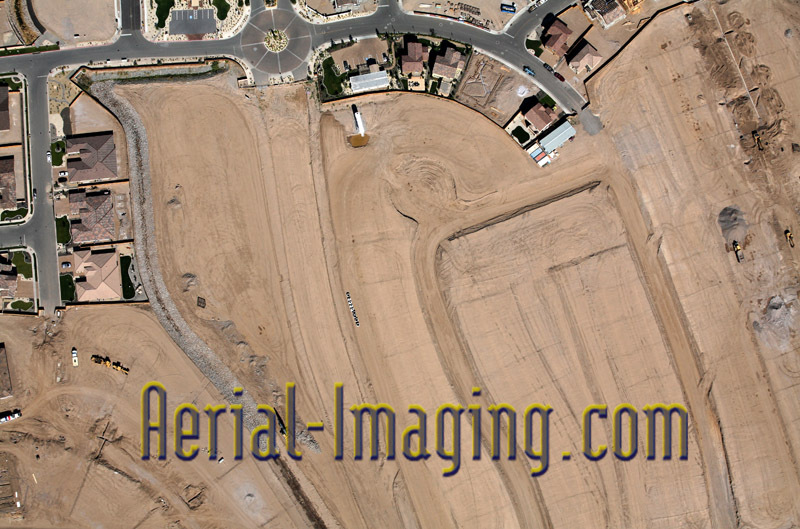 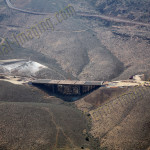 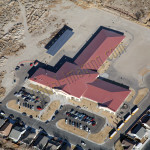 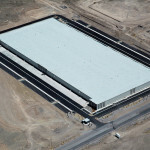 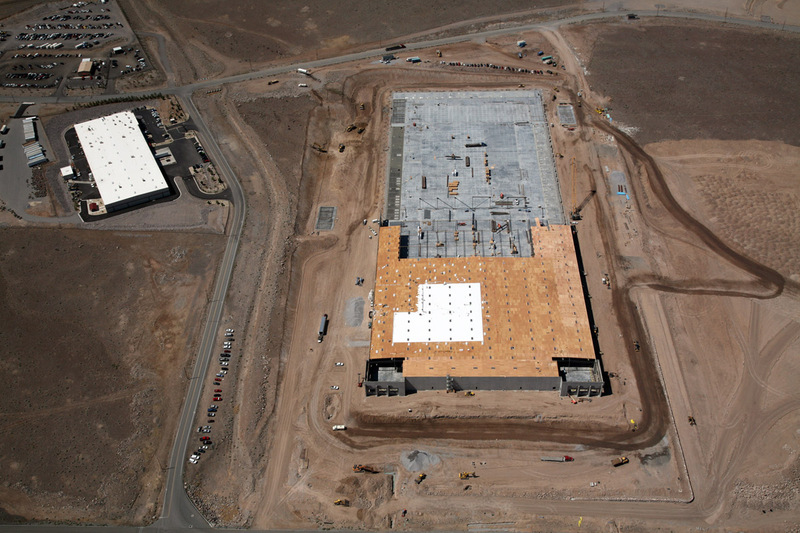 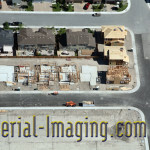 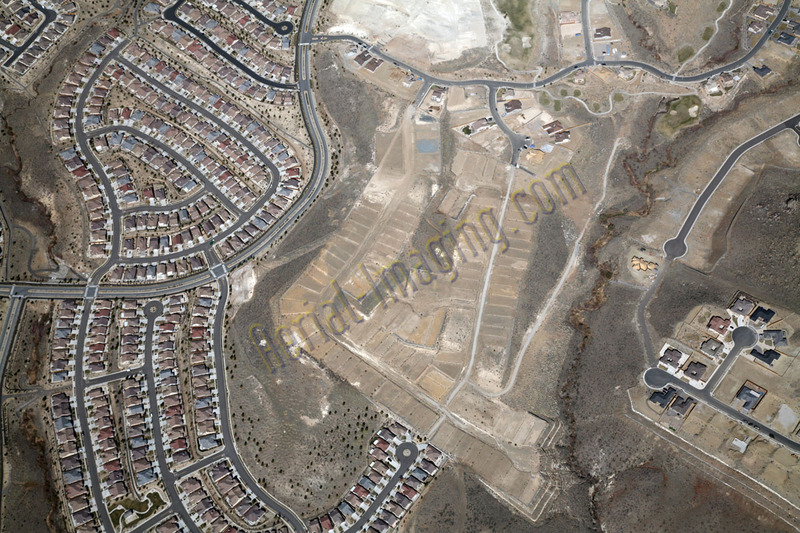 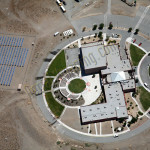 Completed aerial photos of a local construction project in Sparks, NV – Golden Eagle Regional Park. 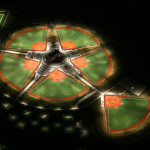 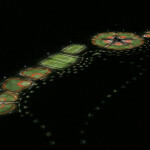 For the city of Sparks, NV we flew and over at night to show off the awesome lighting features of the park, – for nighttime games of course! 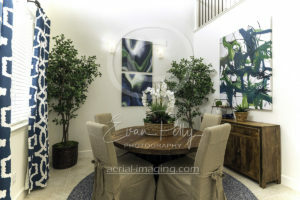 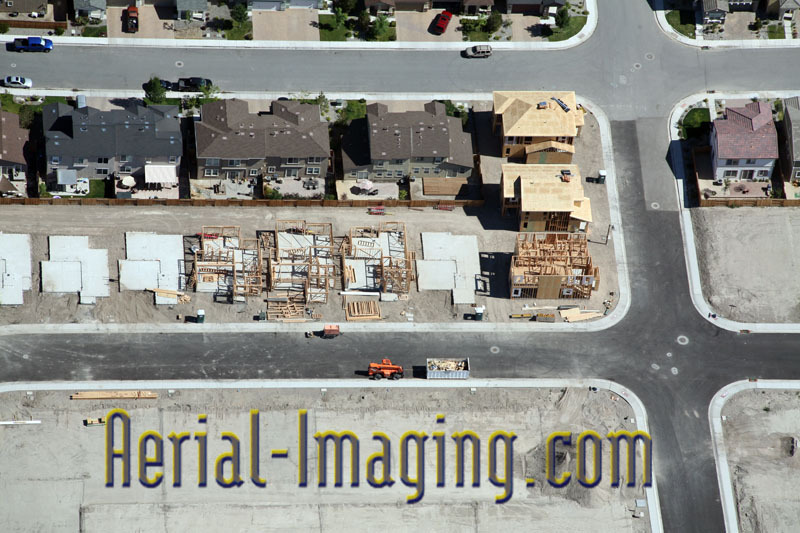 A close-in view is great for showing the features of the buildings. 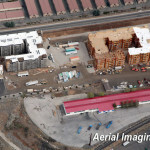 We will also take aerial shots from further away, which help to show access roads to the buildings (adjacent roads, freeway access points, business amenities). 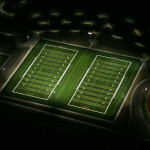 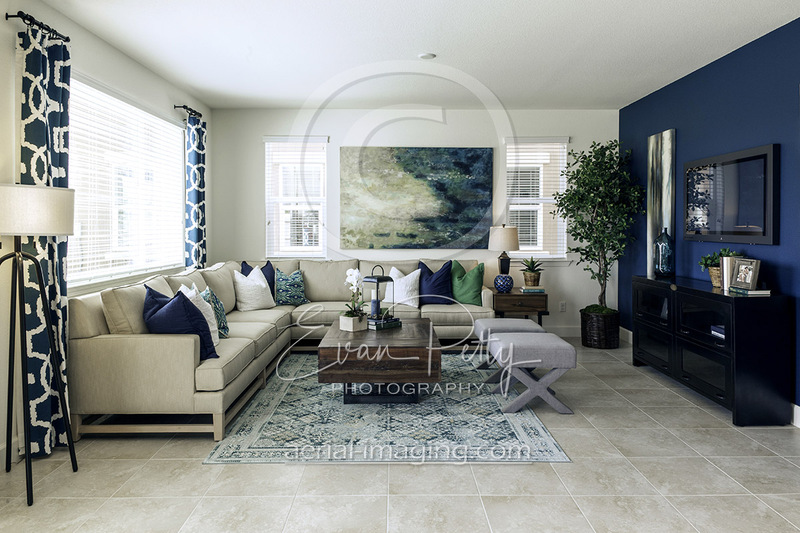 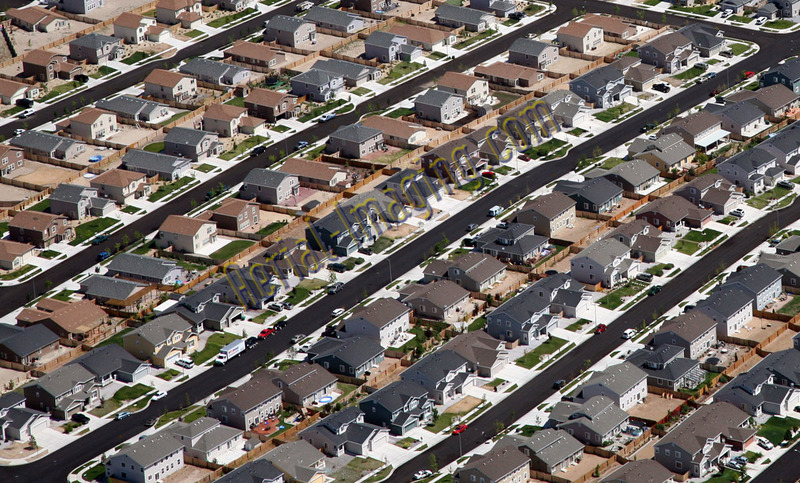 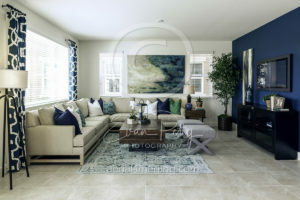 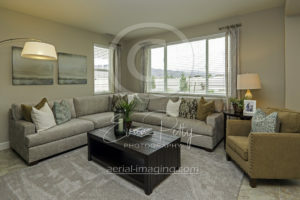 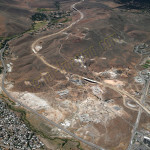 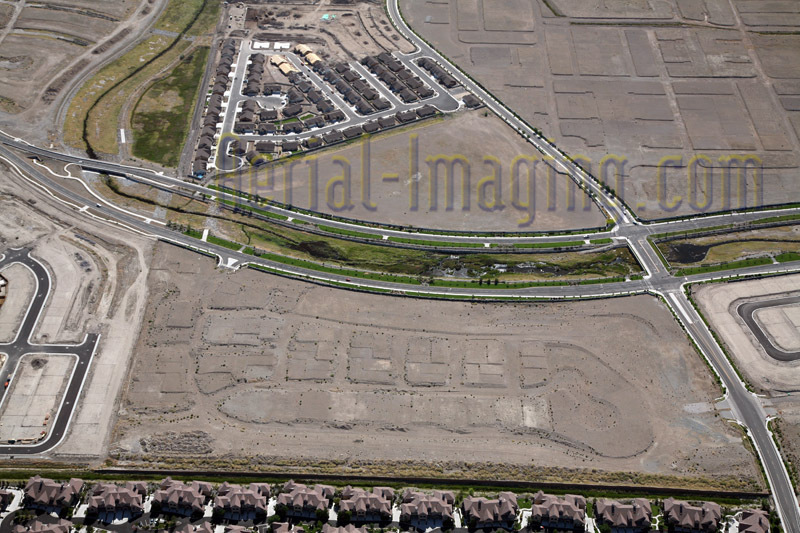 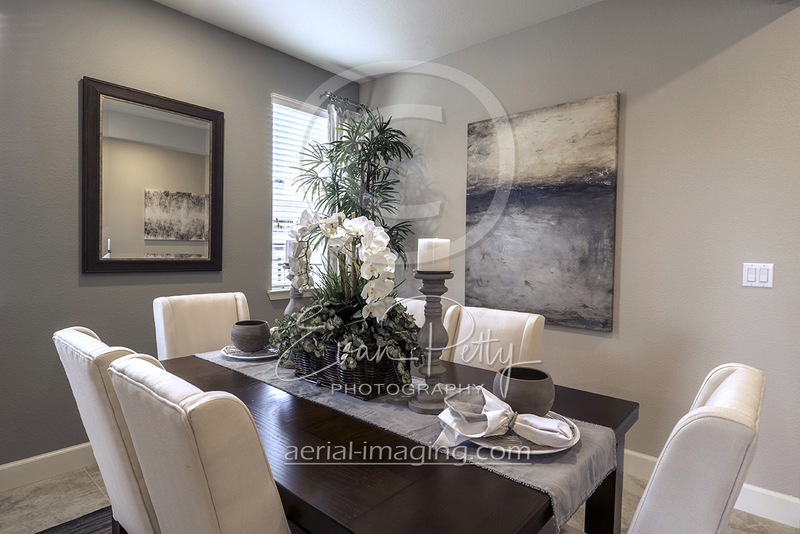 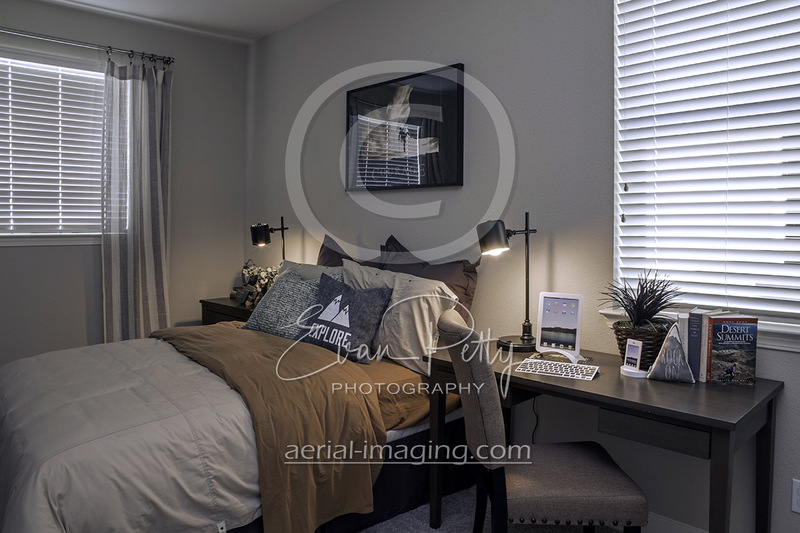 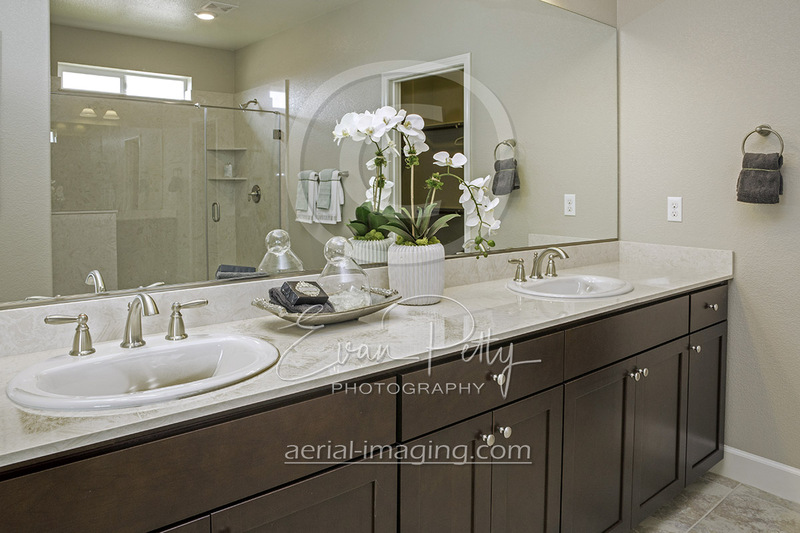 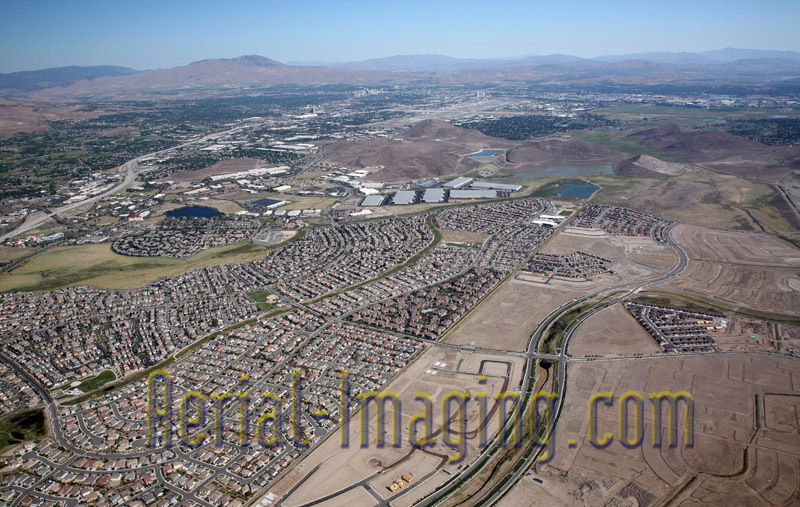 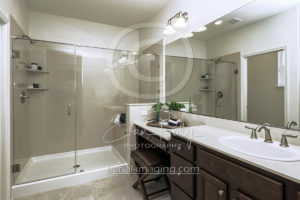 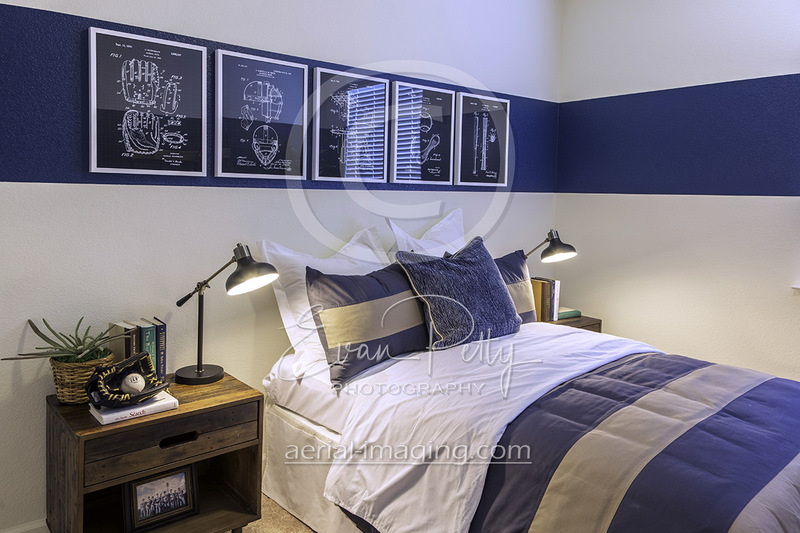 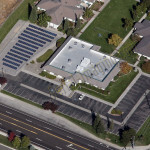 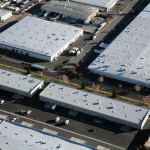 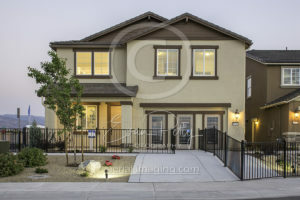 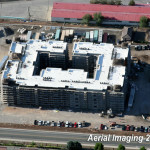 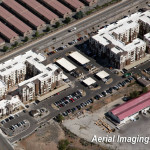 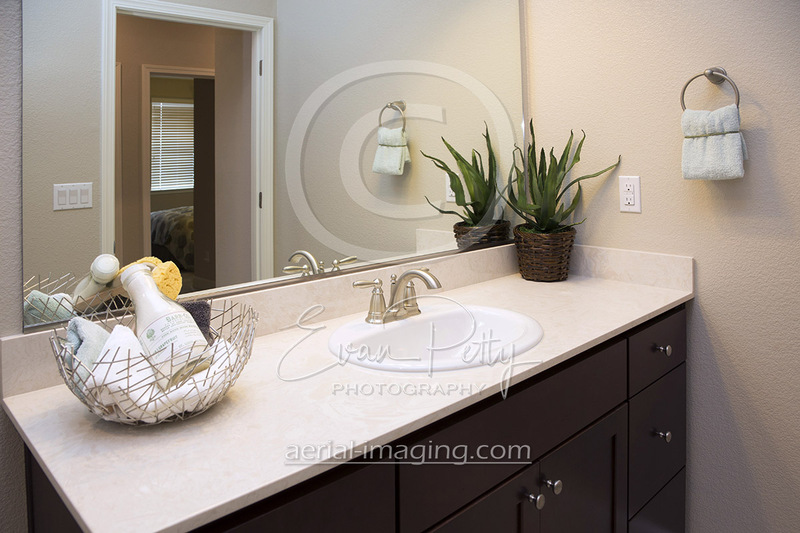 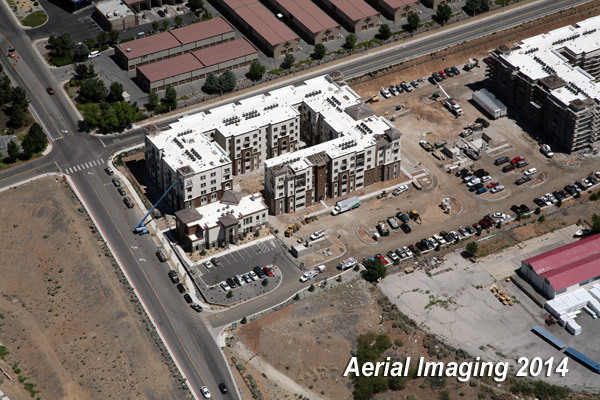 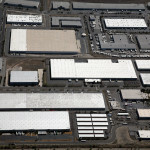 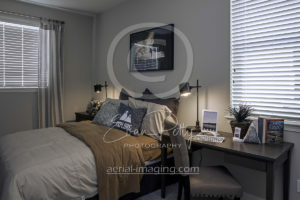 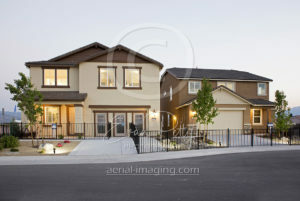 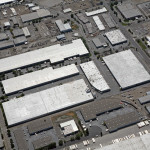 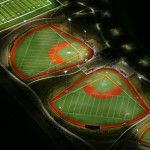 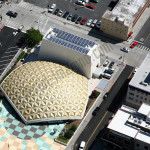 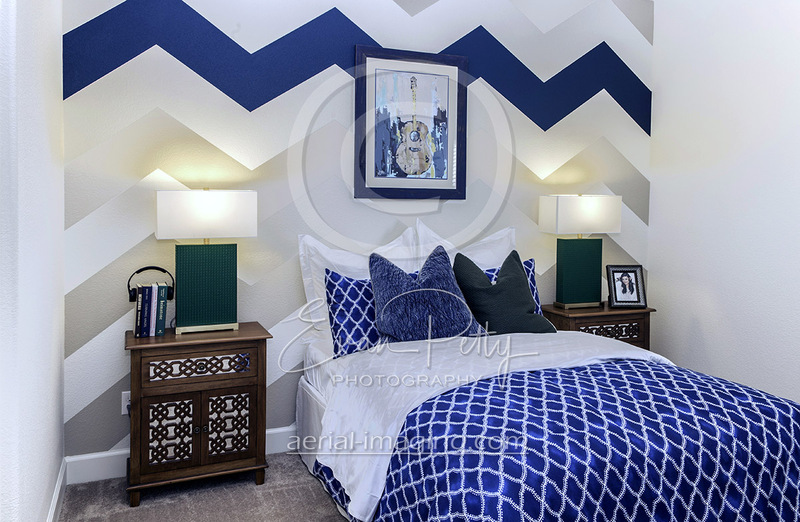 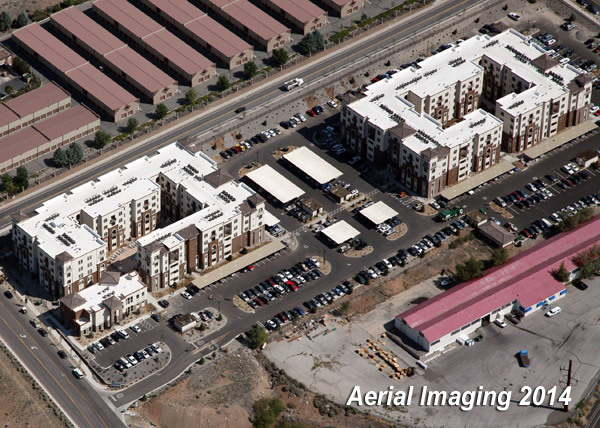 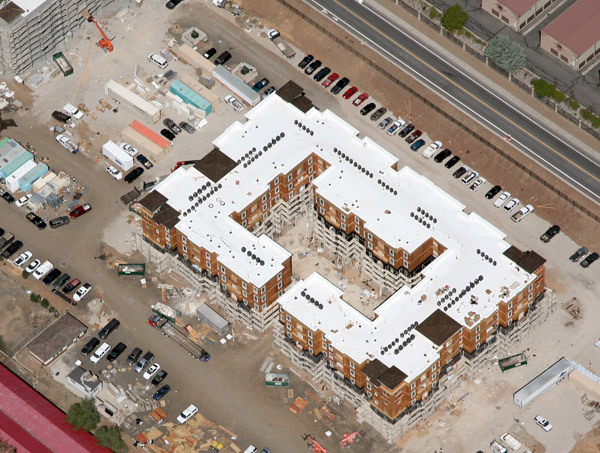 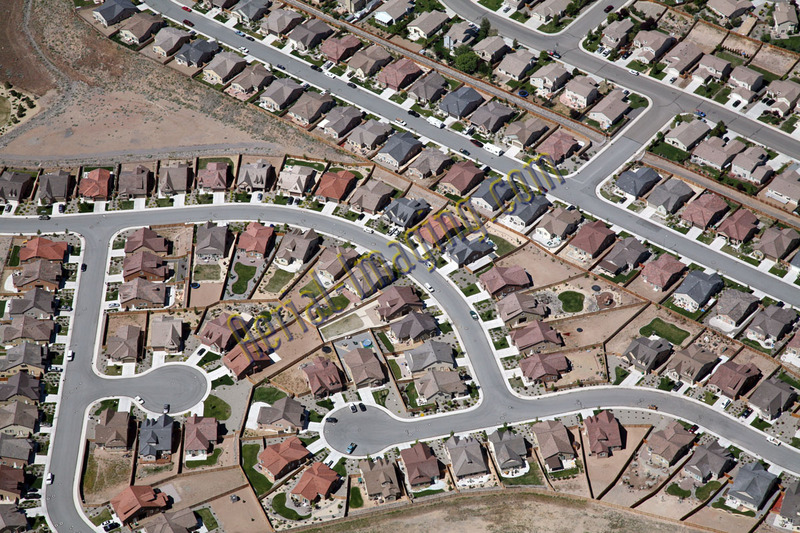 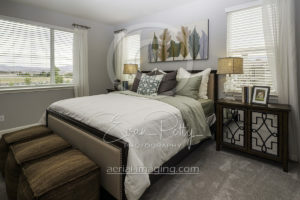 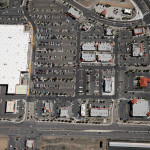 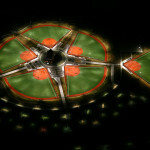 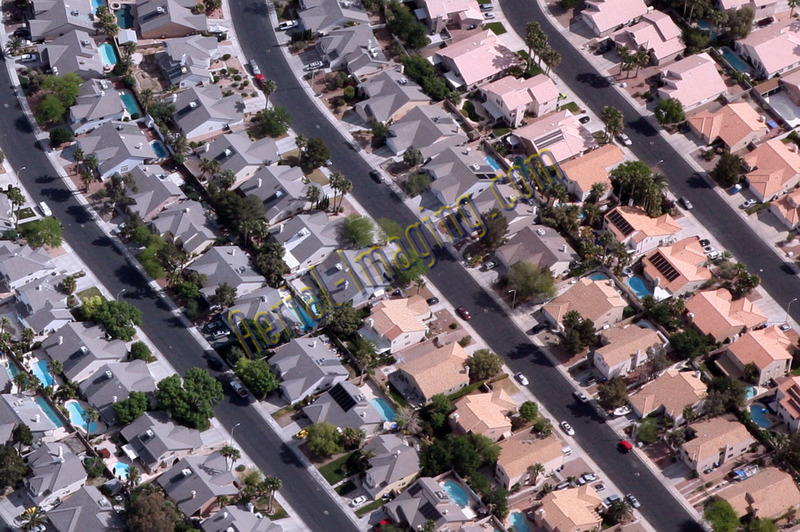 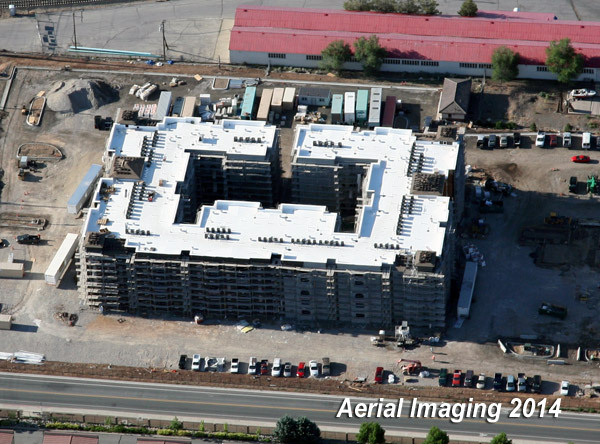 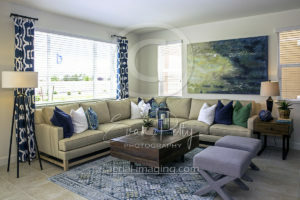 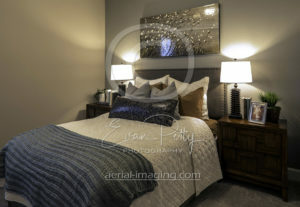 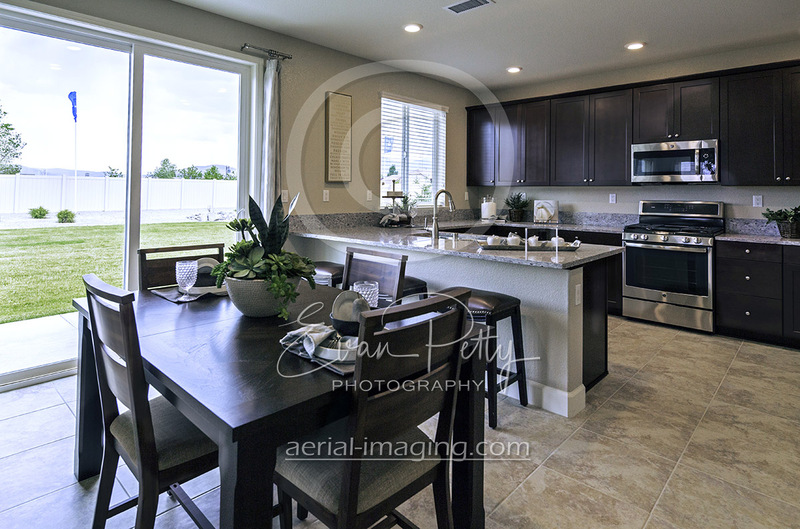 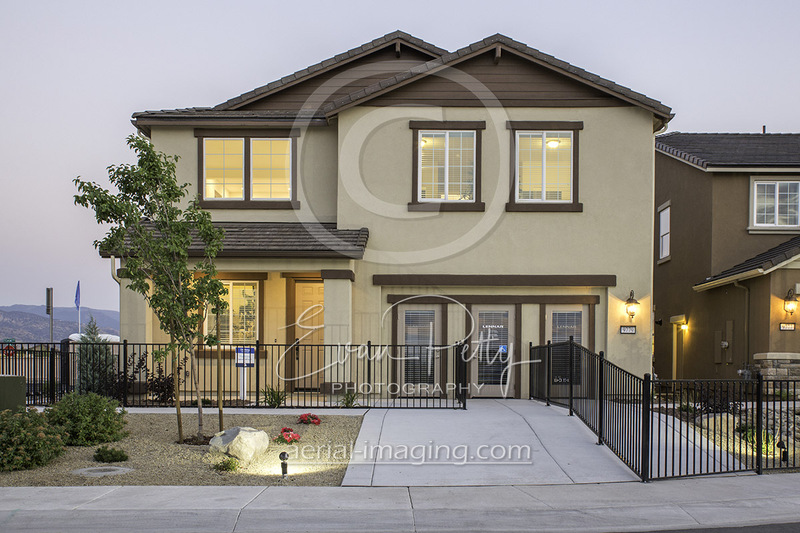 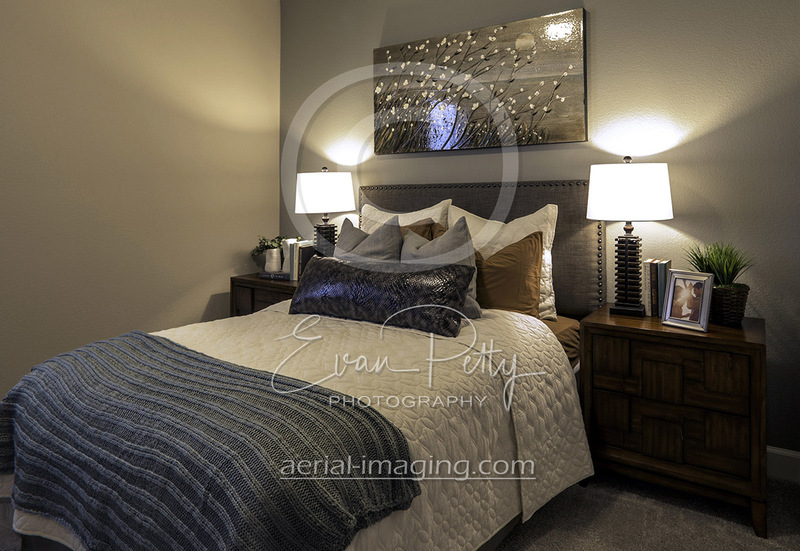 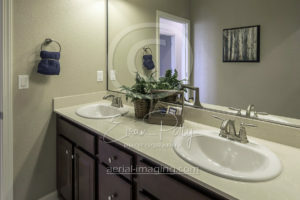 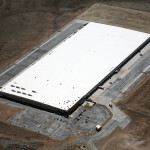 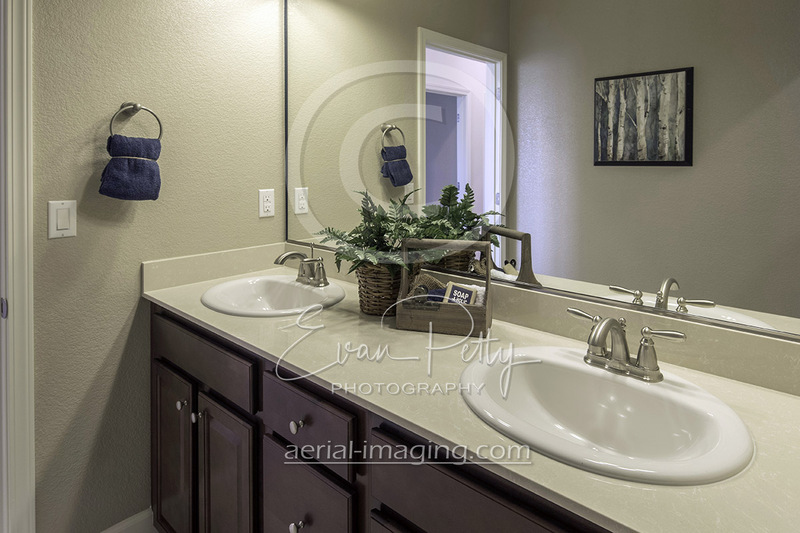 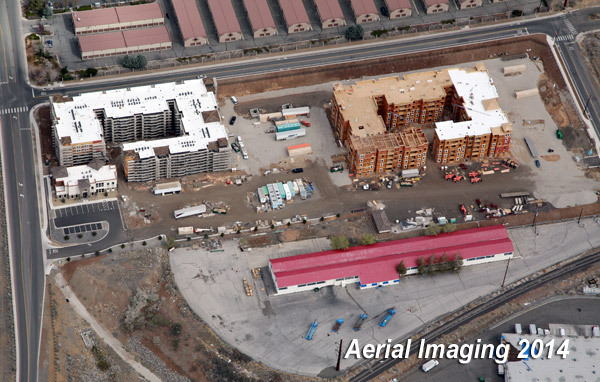 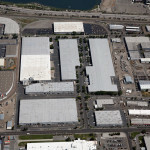 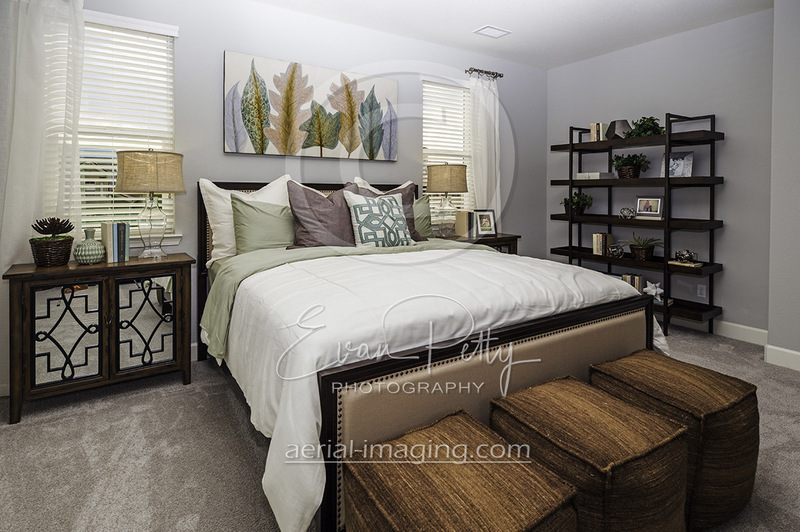 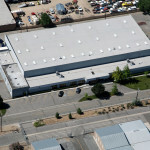 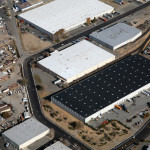 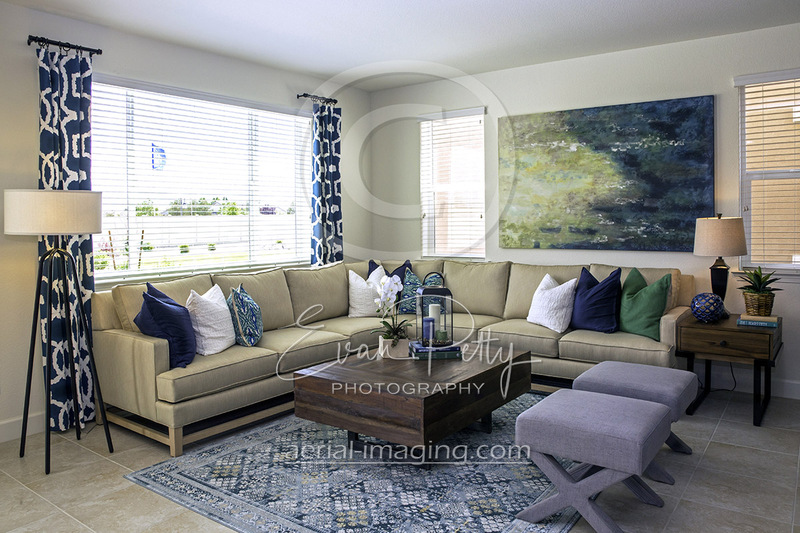 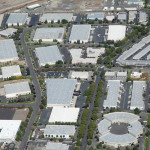 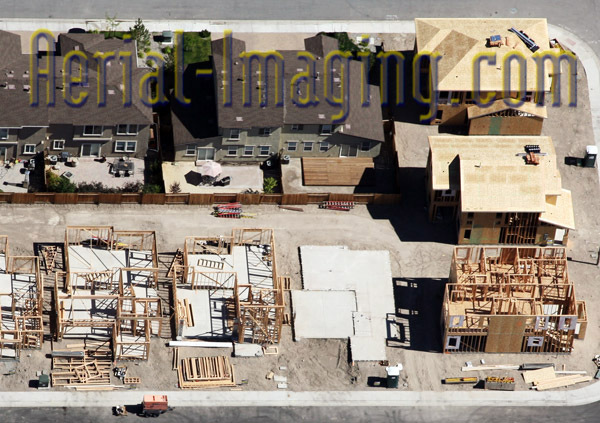 Here are some commercial real estate aerial photography examples from Reno and Sparks, Nevada. 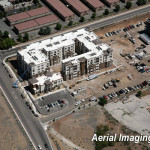 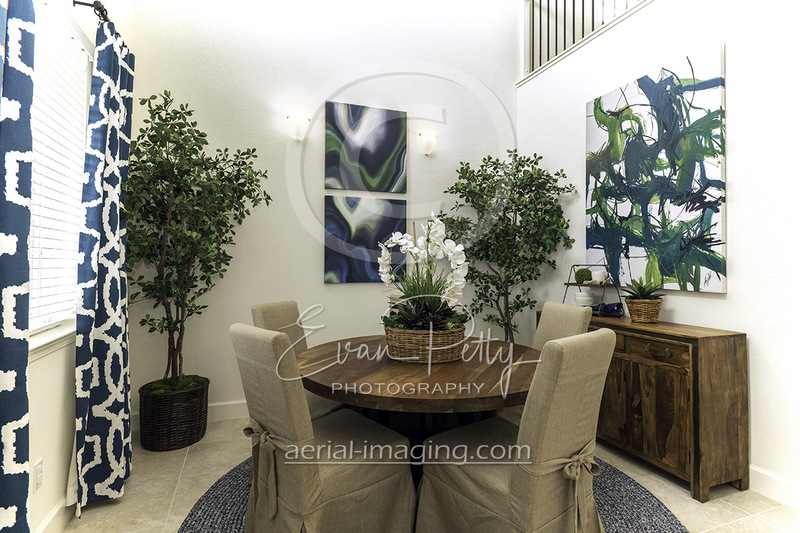 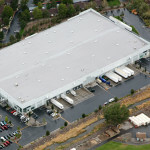 Learn more about our commercial real estate aerial services on our main commercial real estate aerial page.